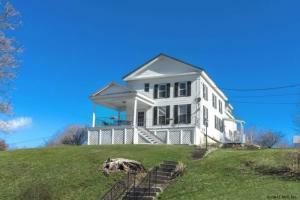 New Houses for Sale in Hudson Valley, NY | Browse our Selection! 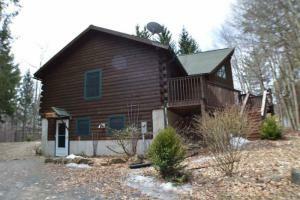 Saratoga Lake camp with a beautiful water view and right of way to the lake! 3 bedrooms, 1.5 baths, new roof, new shed, new hot water tank, new refrigerator. Public water & sewer. Wood floors throughout. Cozy lake camp with baseboard heat and a VT Casting wood stove. Wrap around deck. Two bedrooms are on the 1st level. A charming stain glass window in the family room adds just the right touch. Most furnishings are included. Enjoy your summers here at Saratoga Lake. 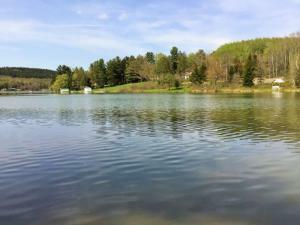 This is your opportunity to own a lake home! Gorgeous sunrises and sunsets in your 3 bedroom Ranch home with 65' of lake frontage. Open floor plan, living room with sliders to deck and dock. Large updated, newer applianced kitchen, newer furnace and hot water tank. 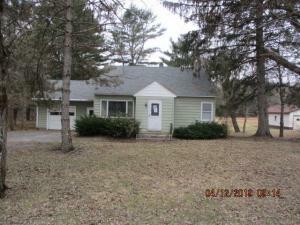 Detached garage, perfect for the summer get away or year round home. Much bigger then it appears. Listing Courtesy of: Coldwell Banker Prime Prop. Tremendous value here!! Over 2,000 sq ft of updated modern living space for under $200k! Sleek and stylish eat-in kitchen with gas range and huge island. Open layout with an office/den with french doors. Gorgeous hardwood floors on the first and second floors. 4 bedrooms and 2 full baths on the second floor including a master bathroom with double sinks. 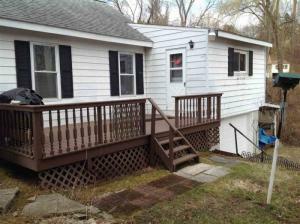 Central air and a deck overlooking the fenced in backyard to enjoy during the warmer months. This one is a must see! Absolutely Superb view from this beautiful maintained town home at Top Of The World. Enjoy the breath taking views from your master suite or living room while sitting around the inviting fireplace. The main floor features a cathedral ceiling, stone fireplace, and sky lights for natural lighting. The first floor living room and second floor master both include sliding glass doors with access to back deck to must see views of beautiful Lake George. In the large basement there are extra rooms for storage including washer and dryer hookups. Amenities at Top of The World include outdoor pool, tennis courts, clubhouse, heated indoor pool, saunas, showers, gym, and an 18 hole public golf course and restaurant. This is a must see!! Fully remodled 2nd floor unit available May 1, 2019. Totally updated in 2017 including carpets, flooring, cabinets, counter tops, appliances, washer and dryer. 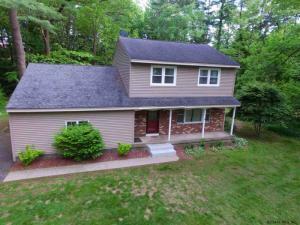 Close to bus line, minutes to Northway and 10 minutes to Saratoga Springs. 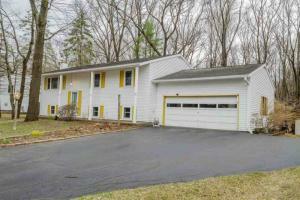 Walk to all the village of Ballston Spa has to offer! 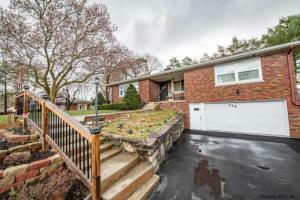 Well maintained Ranch with attached garage in desirable location with great curb appeal. 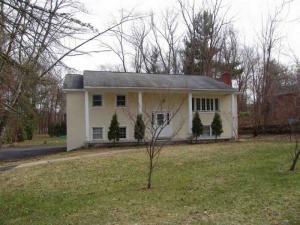 Spacious sized rooms and hardwood floors under wall to wall carpet in family room. Sit by the fireplace and enjoy winter nights in the living room. 3 bedrooms and 2.5 baths on the main floor. Finished basement with fireplace has been converted into a rec room with pool table and Tv that is negotiable. The TV in bedroom and kitchen are included with the home as well as the Refrigerator and Freezer in basement. Fully fenced yard with patio perfect to enjoy those balmy summer nights grilling and socializing. Don't miss out on this home! Better than new Ranch in the heart of Clifton Park. 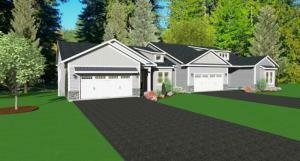 This home delivers a 3 car garage with spacious work area, front & back porch, welcoming entrance with open floor plan. Great room with WOW appeal. Full unfinished basement. Master suite with his and hers walk-in closets, jetted tub and double vanity. Large fenced in backyard. Shen school districts and low taxes. Colonial built in 1936 with 3 bedrooms and 1.5 baths. Featuring +/-1,804 SF, fully finished basement, large porch, open floorplan, and approximately 2,600 SF Lot. Bring your design ideas and make an offer today. Fixer-upper. Gutted and ready for your finishing touches. Wide plank flooring, original character. Existing well and septic. E-Z commute to Capital District. Bring your imagination! Transformed in 2011 from a Saratoga Model to a beautiful open, customized floor plan, this amazing design and beautiful treed lot will wow you. Reborn with a gorgeous kitchen and a second Family Room, the owner created a home that is ideal for family gatherings and entertaining. The thoughtful planning that resulted in the fabulous floor plan will impress you, highlighting a Kitchen awaiting the chef or “chef to be”. All of the expensive improvements have been made including from kitchen to baths, windows, wood flooring and more. No need to worry about what you will need to fix because the home is ready to enjoy “worry free” since all of the high-ticket items are newer. The goodness awaits you.This owner is the one that everybody wishes for when they purchase a home. Enjoy! 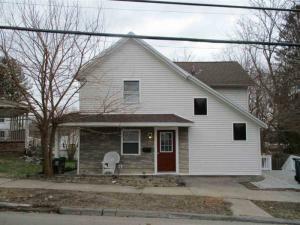 Delmar 2-Family within walking distance to Four Corners and the Albany County Rail Trail in your backyard! 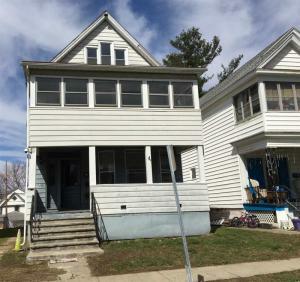 Utilize this large property with 3 bedrooms and 1 full bath on each floor showcasing original woodwork, wood floors, separate utilities, and an amazing walk-up attic with huge potential. This would be an ideal, owner-occupied property with great potential to build equity. The property is being SOLD AS IS! Showings on Wednesday, Saturday and Sunday ONLY due to pets and various schedules. 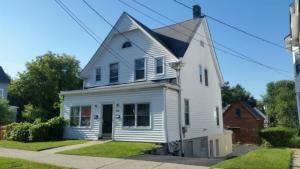 3 bedroom 2 story home right int he heart of Lansingburgh. 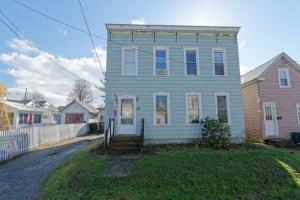 Walking distance to Turnpike Elementary (Lansingburgh). Convenient location to stores and shopping. Maple kitchen cabinets, wood floors and stainless steal appliances. Enjoy gorgeous views of the lovely rolling Helderberg's from a welcoming wrap-around porch. Exceptional master w/ soaring ceilings. Hardwoods throughout. Picture window reading nook features built-ins and seat to capture mountain vistas. Full basement w/ workshop area. Whole-house generator! 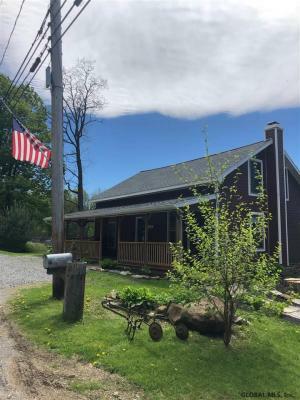 Cedar back deck, fruit trees, raised beds with water connection, 30x30 5 stall barn, storage shed, tapped maple trees on gorgeous, useful 11+ acres. 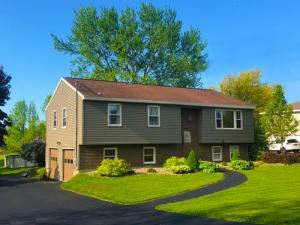 Solidly built home w/ paved circular driveway is waiting for you! 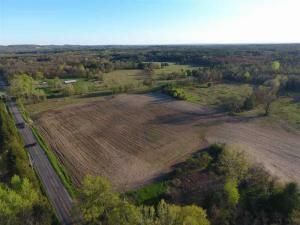 60+ Acres conveniently located in farm country. Approx 960ft of road frontade. Drilled well, sandy soil and gorgeous mountain views. Partially wooded. Possible subdivision with town approval. New homes and established farms in close proximity. Within 10 minutes to Saratoga's famous horse track. Newly updated 8 Bedrooms Two family property for sale. Close to SUNY Albany. Great rental return. Newer windows and roof. Parking lot at back yard. A must see! 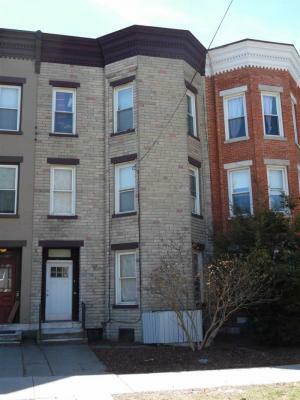 Spacious classic Albany 2 family in an ideal location between Washington Ave and Central Ave! 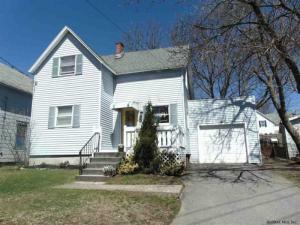 Hardwood floors throughout, some newer windows, 1st floor-Forced Hot Air Furnace. 2nd Floor-Radiator Heat, Boiler approx. 10 yrs old. 2 car garage sold as-is. A great opportunity for investors. 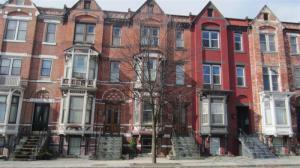 Two 6 UNIT STYLISH VICTORIAN buildings overlooking Albany's Washington Park, Lake & Lake house. PLEASE DO NOT APPROACH THE BUILDINGS OR TENANTS W/OUT AN APPT, PER SELLER'S SHOWING INSTRUCTIONS. Original detail creating charming & updated apartments- Crown Moldings, Marble, Slate & Wood mantels, Wood Floors, Pocket Doors, Medallions, Archways, Exposed brick, Bay windows, Window Shutters. 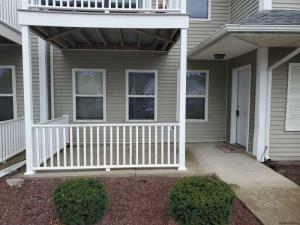 Some units partially furnished; some with back decks. 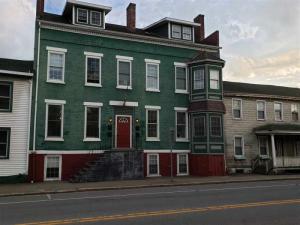 Very desirable rental location - walk to Albany Med, the Medical, Pharmacy & Law Schools....& to Restaurants on Lark St. The EGG Performance spaces; the Capital and State Buildings. Seller pays: heat GAS HOT WATER RADIATOR HEAT, Hot Water, Water & sewer, garbage, snow removal. 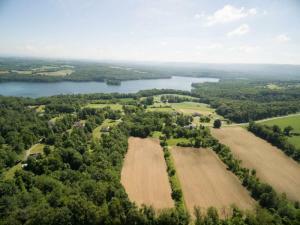 32 Acres with DRAMATIC WATER AND MOUNTAIN VIEWS. Bucolic area of RENSSALAER COUNTY. With fine home developments. 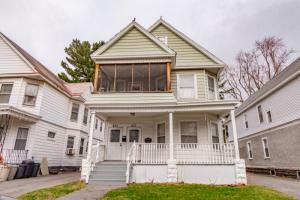 Close to RPI/Troy farmer's market, the Amtrak train and yet giving privacy and every option for THE HOME OF YOUR DREAMS. Zoned Agriculture and providing low taxes. Various fields currently leased ($1) to farmers. Surrounded by scenic views and with 1680 feet of frontage, there is approximately 3 acres of grass currently being cut for hay. This is a perfect spot for your new home or a great place to put the camping trailer for those weekend retreats. 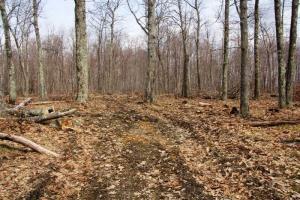 There are tractor roads through the 12 acres of hardwood forest for the ATV's and hiking and hunting. The snowmobile trail system runs right through this area. 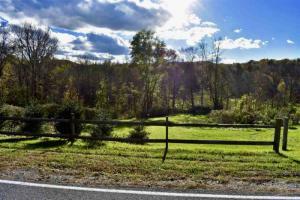 Picturesque 15.3 acre parcel in the heart of farm country in Schoharie County just outside of Cobleskill. 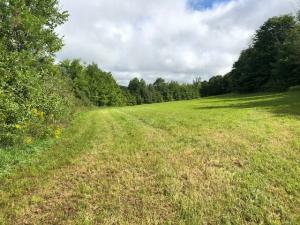 5 acre building parcel in the private community of Oak Meadows in the beautiful upstate New York town of Middleburgh. This is an area of high end homes with lake access. 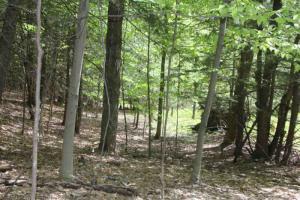 This is a level, lightly wooded parcel with a cleared area already in place to build your dream home. Deed restrictions apply. Beautifully renovated townhouse in the desirable Queen Victorias’ Grant neighborhood. All new paint inside and out. All new floorings and light fixtures. New kitchen cabinets, countertops and appliances. Washer and dryer included. Both baths have been remodeled. All new baseboard units and thermostats. 30 yr architectural shingles. Natural gas line is already run to the house for future hook-up if desired. Property backs up to forever wild, with walking paths throughout the neighborhood. 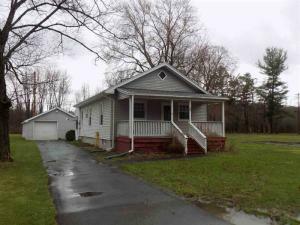 Convenient location to Lake George and Saratoga. Call today! Needs a little renovation. 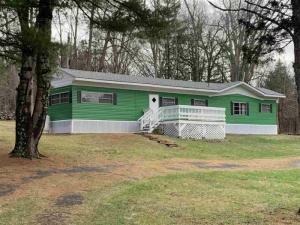 3 bedroom ranch on 1.54 acres. Large garage with electric. Walk out basement. Needs furnace, baseboards in place. Beautiful secluded spot. 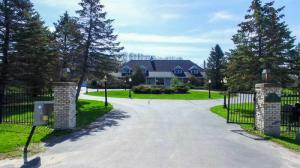 Referred to as "The Mansion," there is potential for a 46 townhouse development on 7.8 acres. 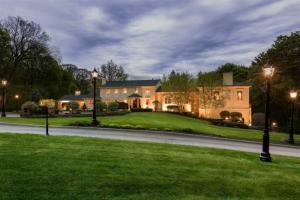 Lit tennis court, in ground pool, 41 seat movie theater, multiple fireplaces & soaring ceilings! Use the main house as a clubhouse or convert to condos too. Sold turnkey! Currently rents out for $4995 USD per week or $995 per night in prime season. Only 40 min to Saratoga Horse Race Track. Min to shopping & restaurants, & Amsterdam Golf Course. Rental history and potential subdivision attached. 3% co-broke! Seller will pass on 2019 rental bookings to buyer if wanted-see photos. Also a spectacular home and compound! 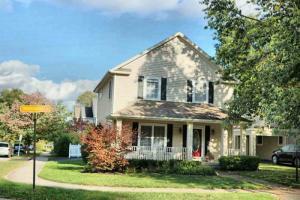 Very spacious and well maintained two-family home with many recent updates! 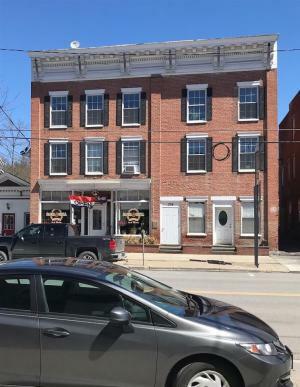 Owner occupancy or investment opportunity! Each unit features 3 bedrooms, a full bath, formal dining room, living room, den, hardwood floors and washer & dryer. Updates include newer furnaces for both apartments, siding, windows, driveway. Plenty of off-street parking with a 3-car detached garage with auto door openers! 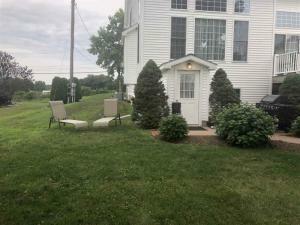 You will feel like you are in the countryside in this spacious farmhouse, located in the heart of Schodack but just minutes to downtown Albany. Large and private 1.7-acre lot with large barn/workshop, stone patio, fenced area (see pictures) and front and back porches. 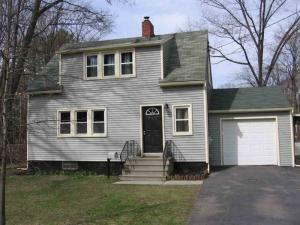 Home features newer roof, replacement windows, boiler and vinyl siding. 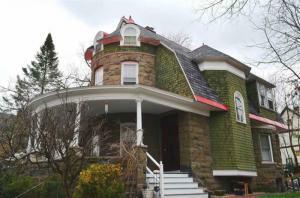 This charming home qualifies for 100% USDA or 203K financing. 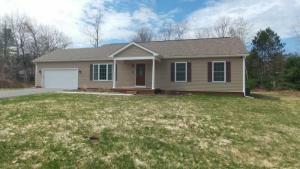 Move in ready spacious ranch in the South Colonie School District. Huge sunny dining room with gleaming hardwood floors. Step down to a family room with a slider to the large fenced yard. Out back you can Relax on the roomy deck (gazebo excluded), plenty of space to play games, and a charming shed to store equipment. Recently tiled kitchen and updated baths. Basement offers laundry area, rec. area and storage. Additional features include central air, split system in family room, and an on demand hot water tank. This great ranch home is available now! A great ranch home only a few years young and ready for it's next owner. Fabulous one level open floor plan, gleaming hardwood floors, beautiful granite countertops, a great master suite, and nice sized rooms throughout. The 2 car garage even has a ramp for easy access. 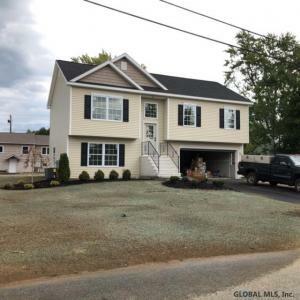 Relax on the front porch and enjoy the back deck off the kitchen for entertaining & grilling.Set in a growing neighborhood in the Adirondacks, you'll be happy to call this house your home! Call today! 5% CO BROKE ON INITIAL 5 YR. TERM, MOVE-IN READY, FURNITURE RENTAL AVAILABLE. 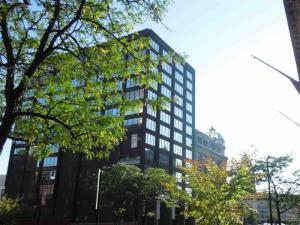 LARGE OPEN AREA WITH CEILING-FLOOR WINDOWS, SEEKING OFFICE USER WHO IS LOOKING FOR GREAT VIEWS OF STATE STREET. HAS 4 ELEVATORS, RESTAURANT AND ON-SITE MANAEGMENT, WALKING DISTANCE TO COURTS, LOBBYISTS, ALBANY CAPITAL CENTER, CAPITOL BUILDING, TIMES UNION CENTER. LANDLORD OFFERS SPACE PLANNING AND CUSTOM DESIGNED SUITES. SUITE #405 CAN BE COMBINED TOTAL OF 5,387 RSF. Listing Courtesy of: Albany Management, Inc. 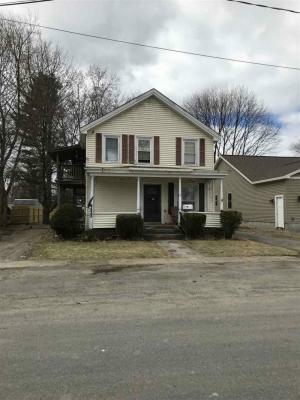 Cute as a button 3 bedroom 2 story home on a cul-de-sac street in Wynantskill. The home features great first floor living space with the eat - in kitchen open to the living room, and a second dining area. Hardwood floors in the living space, and a first floor bedroom. A 1 car attached garage and fully fenced backyard off the deck. Averill Park schools yet low taxes. Well kept home in move in condition. METICULOUSLY maintained, with many stunning amenities. The open 2 story Foyer, will give you the feel of charm, that happens to be a common thread throughout this stunning property. Livingroom and Diningroom are a perfect spot to entertain, since one room spills into the other. The Kitchen, with its double ovens, granite counters, and view of the manicured gardens, is a wonderful spot for preparing meals. The fireplace in the Familyroom, is the focal point of this warm, inviting room. To the left, a 2nd staircase which will bring you to the 2nd floor. A Master Suite, 4 additional bedrooms, and Laundry room round out this upper level. Wait till you see the Lower Level! Custom crafted bar, Familyroom, Exercise Room and 1/2 Bath will expand this 3200 + sq ft property. BETHLEHEM SCHOOLS!! **Owner Financing Available** Contact agent #2 for details! Great Business opportunity - Bar/Restaurant, plenty of parking. Vintage wood plank floors. 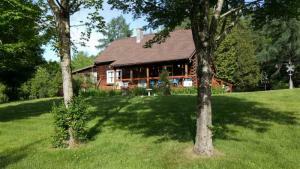 Close to skiing, ATV'ing and snowmobile trails! Many renovations done in 2013 including electric, plumbing, furnace, lighting, etc. 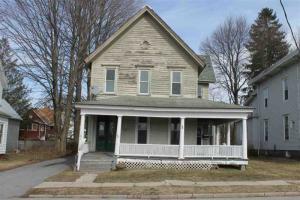 This is a beautiful updated one bedroom apt on the third floor, right in the heart of the village of Middleburgh. Close to all the shopping and eateries. Easy commute to Albany or Oneonta, Cooperstown areas. Heat is included, tenant pays electric. Nice kitchen, updated bath with shower stall, ceiling fans, wood floors. One car parking included as well. No smoking and no pets, please do not contact landlord directly. Available immediately. Security and references required. Cross the bridge to enter the world of this true country estate. Exquisitely situated in the heart of the Capital Region, this one of a kind property offers everything one could want: luxury, sophistication, comfort & privacy. More than just a home, this unique property offers manicured rolling lawns, magnificent architectural details, spacious rooms and cozy spots to curl up in. This home must be seen and fully explored to be appreciated. 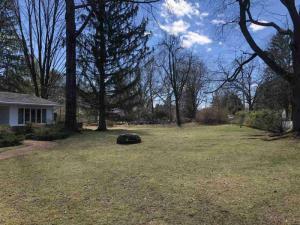 Property could create an amazing family compound if purchased with 112 Woods Lane - 5.3 acres. (See MLS #201916826 ) Certain fixtures excluded. Qualified buyers only please. Call listing agent to arrange for your private tour. Sold Before Print. 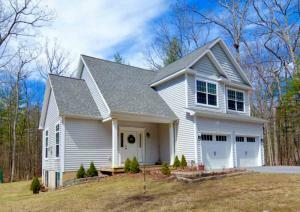 Completely remodeled 2 story 3 bed 2.5 bath home in Galway School District on 1.5 acres. 5% CO BROKE ON INITIAL 5 YR. TERM. MOVE-IN READY, FURNITURE RENTAL AVAILABLE. LARGE OPEN AREA WITH CEILING-FLOOR WINDOWS, SEEKING OFFICE USER WHO IS LOOKING FOR GREAT VIEWS OF STATE STREET. 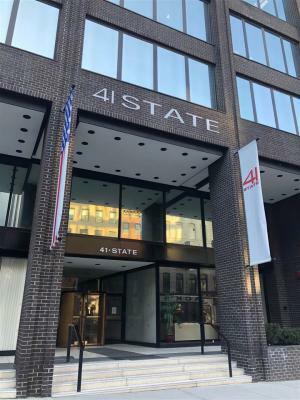 HAS 4 ELEVATORS, RESTAURANT, ON-SITE MANAGEMENT, WALKING DISTANCE TO COURTS, LOBBYISTS, ALBANY CAPITAL CENTER, CAPITOL BUILDING, TIMES UNION CENTER. LANDLORD OFFERS SPACE PLANNING AND CUSTOM DESIGNED SUITES. Living is easy in this spacious country home.Enjoy gatherings in the generously-sized dining room and living room and be graced by a fireplace. Relax in the sun room to enjoy your morning coffee and newspaper. A guest house and a barn with a 2nd story in wonderful condition. Over 43 acres of land to farm, enjoy and entertain. 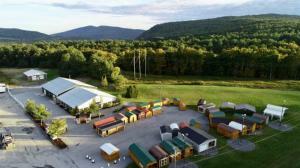 A perfect location, only 15 minutes from NY State Thruway. 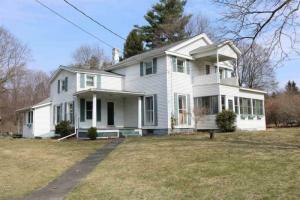 Must see this charming, unique, updated colonial situated in the heart of Old Niskayuna. 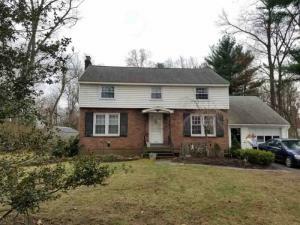 This 4 bedroom colonial, located in the U.S. News Best High School Silver Medal Niskayuna School District, offers newer windows, updated electric, updated upstairs bathroom, walk-up attic storage and much more. A perfect house for all seasons.. in winter, relax in the living rm by the cozy gas fireplace and in summer enjoy the screen porch and the fabulous, large treed, park-like double corner lot perfect for outdoor entertaining. Make an appointment today. This home is not to be missed. You’ll fall in love with this affordable updated two bedroom, one bathroom ranch home on a spacious 2.3 acre lot in Greenville Schools. Cozy up by the fireplace in the cooler months and relax or entertain on the deck in the warmer months overlooking the tranquil backyard. This home has had several recent updates including: new laminate hardwood flooring, updated bathroom, new oil tank, new appliances, and garage doors. This home has so much to offer and is truly a must see! Saratoga Pointe is one of the areas fastest growing subdivisions with single family homes starting in the mid 300's. Highly rated Stillwater Schools. Outstanding location just minutes from Saratoga Lake, Saratoga Springs, Malta and I-87, great access to shopping and amenities. Wonderful open floor plan for convenient living, w/ 3Br 2 and 1/2 baths, granite counter tops, HW floors in common areas, 9' first floor ceilings, A/C and more. *Photos are representation of builders’ work. There is detail in every corner with this 5 bedroom 3.5 bath Colonial! 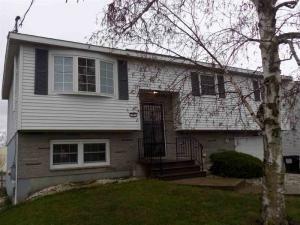 Harwood floors, fireplace, tiled bath, large kitchen, full finished basement, garage and more! With +/-3,676 this open floorplan can let your imagination run wild. Make an offer today. Saratpga Pointe is one of the areas fastest growing subdivisions with single family homes starting in the mid 300's! Highly rated Stillwater Schools. 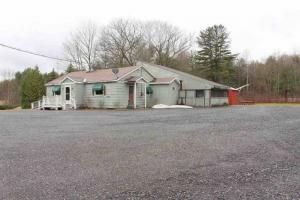 Outstanding location just minutes from Saratoga Lake Saratoga Springs, Malta and I 87, great access to shopping and amenities. Wonderful open floor plans for convenient living, granite counters, HW floors, 9' first floor ceilings, A/C and more. Multiple plans for you to choose from. Pictures are representation of builder's work. 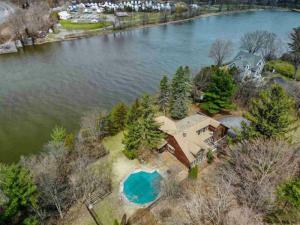 Someone is going to score a tremendous deal on this riverfront home, now that this contemporary overlooking the mighty Mohawk is so attractively priced! 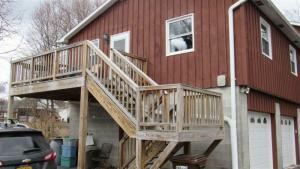 Set on a flat 1-acre lot with in-ground swimming pool and cute cabin for river gazing. This 2,800 sq-ft home features 3 bedrooms/3 bathrooms and a country kitchen with beamed ceilings and dining area. There's an additional large dining room with angled, tongue-and-groove wood double-height ceilings. Windows galore throughout the house to capture the light and views. Hardwoods, brick hearth surrounds the living room fireplace, first-floor laundry, den. 2-car garage, additional shed, central air. This sprawling home is in an exceptionally special spot in Niskayuna. Spectacular brick home that has been continuously updated. Also includes an additional lot for parking (10 cars) (additional $863 taxes total) on separate deed. Rents are very low due to long term tenants. Current income $57,000 but w/current market rents income could be approx. $72,000. Backup generator (for heating and common areas), roof, shed, gutters, hot water tanks and recapped chimney are just a few of the recent updates. Owners unit is beautiful with fenced in back yard. All units feature their own laundry. Must see to appreciate. 48 hour notice to show - Call LA. 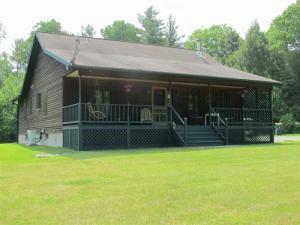 Peace and serenity await you at this open concept 3 bedroom, 2 bath Ranch home on over 20 acres. Country living at its best with shining wood floors, and wood stove in great room to create a cozy environment. Full basement, barn, garage and plenty of property for gardens, horses or both. Perfect place to escape a hectic world. Make this tranquil property your home. 5% CO BROKE ON INITIAL 5 YR. TERM, PROFESSIONALLY MAINTAINED AND MANAGED, MOVE-IN READY, HIGH VISIBILITY FROM WOLF ROAD, STRATEGICALLY LOCATED WITHIN MINUTES TO ALBANY INTERNATIONAL AIRPORT, COLONIE CENTER AND ALL MAJOR HIGHWAYS: I-90, I-87, AMPLE PARKING ON SITE, DAILY BASIC JANITORIAL & TRASH REMOVAL INCLUDED IN BASE RENT. HANDICAP ACCESSIBLE. SEEKING OFFICE USERS. CALL TODAY FOR MORE INFORMATION & A TOUR. 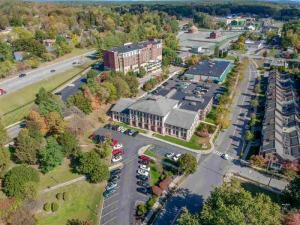 5% CO BROKE ON INITIAL 5 YR TERM, PROFESSIONALLY MAINTAINED AND MANAGED, MOVE-IN READY, HIGH VISIBILITY FROM WOLF ROAD, STRATEGICALLY LOCATED WITHIN MINUTES TO ALBANY INTERNATIONAL AIRPORT, COLONIE CENTER AND ALL MAJOR HIGHWAYS I-90, I-87, AMPLE PARKING ON SITE, DAILY BASIC JANITORIAL & TRASH REMOVAL INCLUDED IN BASE RENT. HANDICAP ACCESSIBLE. SEEKING OFFICE USERS. CAN BE COMBINED WITH SUITE #105 TOTAL OF 901 RSF. CALL TODAY FOR MORE INFORMATION & A TOUR. 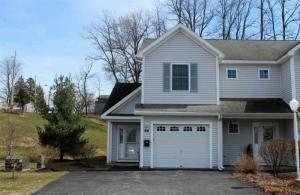 You must see this immaculate Colonial, proudly sitting on top of a hill, bordering the Indian Kill Preserve! Peace and quiet is what you'll find at the end of this Cul de sac, no traffic, no houses across the street. Enjoy the well cared for back yard with covered patio, an outbuilding and an above ground swimming pool! Your going to love the large finished basement....plenty of room for all your games etc. Not to mention the private well appointed office in the back. Upstairs you will find fresh paint and carpet everywhere. Ready for you to move in! This house shows very well....don't wait on this one! 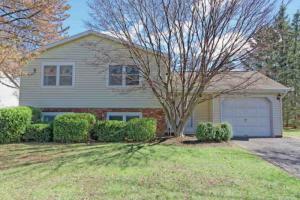 Please view the Virtual Tour for better details! 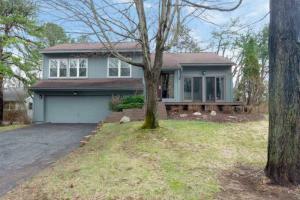 Fantastic opportunity in Niskayuna's Forest Oaks. Start building immediate equity as similar homes a few doors down are selling for over 350k. 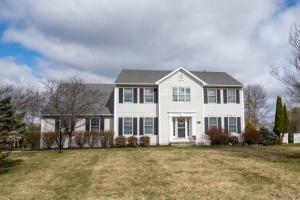 This spacious colonial is priced to sell and features an open floor plan. Bright kitchen w/ granite counter tops & SS appliances overlooks family room w/ sliding glass doors to a private deck, paver patio & fully fenced in yard. Finished basement with plenty of storage. Master suite has soaring ceilings and walk in closet. Award winning Niskayuna Schools. Freshly painted and move in ready. Recent upgrades include furnace/central air (2016) & newerTank less Hot water System + Newer roof w/ Solar panels makes this property an energy efficient home. Minutes to all major shopping and a great neighborhood to take afternoon walks through. Easy to show. 5% CO BROKE ON INITIAL 5 YR. 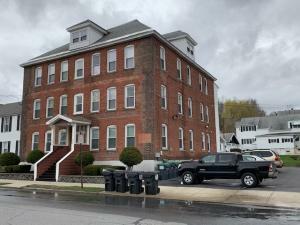 TERM, PROFESSIONALLY MAINTAINED AND MANAGED, MOVE-IN READY, CORNER UNIT, LOTS OF WINDOWS, STRATEGICALLY LOCATED WITHIN MINUTES TO ALBANY INTERNATIONAL AIRPORT, COLONIE CENTER AND ALL MAJOR HIGHWAYS I-90, I-87, AMPLE PARKING ON SITE, DAILY BASIC JANITORIAL & TRASH REMOVAL INCLUDED IN BASE RENT. HANDICAP ACCESSIBLE. SEEKING OFFICE USERS. CALL TODAY FOR MORE INFORMATION & A TOUR. Spacious, bright and cozy village home. Master suite with half bath. First floor laundry/bath with claw foot tub! Hardwood floors throughout. Pellet stove. Small, low maintenance yard. Older, small garage ideal for workshop. 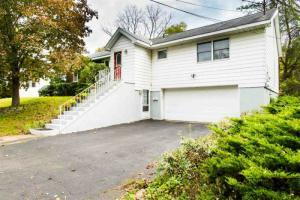 Convenient to stores and Hoosic River Greenway. Updates in 2009 included wiring, plumbing, insulation (R21 in walls/R30 in attic), windows and roof. Needs paint - inside and out - then this gem will truly shine. Your lovely and spacious Cape Cod awaits! This 4 bed 2 bath home boasts plenty to be excited for. New flooring, oversized bedrooms with great storage space, bay windows and a big 2 car garage. Excellent location, peaceful and private. Close commute to Saratoga. 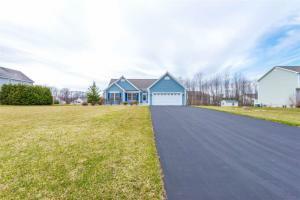 Great yard space for the family, all in the award winning Ballston Spa school district. Schedule your showing today! 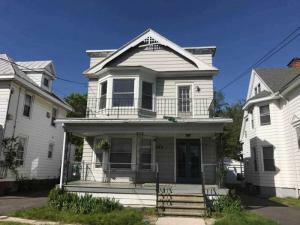 Welcome to this 3-4 Bedroom, 2-Story Colonial that is situated on a double corner lot with detached 2-garage and fenced yard. A must see home! It is priced below market value for quick sale! 5% CO BROKE ON INITIAL 5 YR. 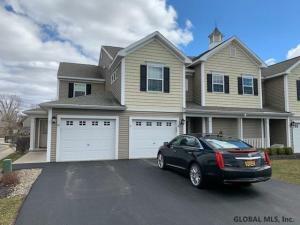 TERM, PROFESSIONALLY MAINTAINED AND MANAGED, MOVE-IN READY, CORNER UNIT, LOTS OF WINDOWS, STRATEGICALLY LOCATED WITHIN MINUTES TO ALBANY INTERNATIONAL AIRPORT, COLONIE CENTER AND ALL MAJOR HIGHWAYS I-90, I-87, AMPLE PARKING ON SITE, DAILY BASIC JANITORIAL & TRASH REMOVAL INCLUDED IN BASE RENT. HANDICAP ACCESSIBLE. SEEING OFFICE USERS. CALL TODAY FOR MORE INFORMATION & A TOUR. Superb elements enrich this Chalet on a double lot in a lake community. Open floor plan w/ high vaulted ceiling. New hardwood floors. Alluring wood burning fireplace surrounded by sliding doors to deck. Delightful country décor in newly remodeled loft w/deck & seasonal mountain view. The main level features kitchen w/ ample oak cabinetry, 2 bedrooms, newly-remodeled bathroom, laundry area w/ sliding barn doors. Finished downstairs w/ family room, bedroom and bath w/ jetted tub. French doors lead to third deck to enjoy seasonal view of lake. Short walk to amenities: beaches, boating, fishing, tennis, pool and lake house, etc. Minutes from ski resorts and cultural activities. Short ride to Albany, Hudson and NYC. 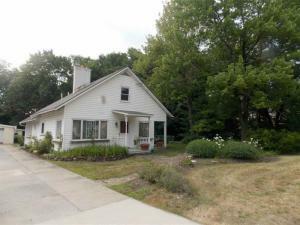 Pair w/ MLS 102458 for lake access and great deal! Agent related to owner. Stately 5 bedroom 2.5 bath traditional home situated in the Historic area on a lovely tree lined street walking distance to Union College and Ellis Hospital. 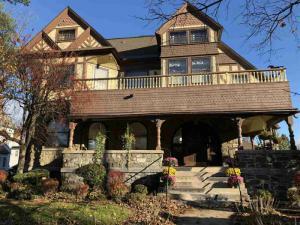 Magnificent custom woodwork (refinished to original), stained glass window, refinished wood floors, large closets throughout. Remodeled Kitchen with marble counter tops. Living and dining rooms, large Study/den/1st floor Master bedroom. Newly remodeled 1st floor full bath. 2nd set of stairs into kitchen. Sun room, new large patio, garden area, large inviting front porch. Updated furnace, hot water tank, new roof, and much more. *Seller is in the process of packing so interior photos will be coming. *Home is sold As Is *DO NOT let the black & white cat inside. Friendly but they do not own it!! *Contingent upon Sellers finding home of choice. First time on ENYR MLS! 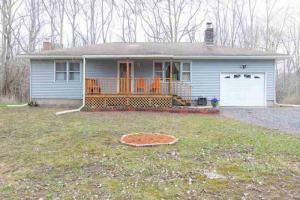 A great, well-kept starter home on a dead end road with property bordering Krumkill Creek. Minutes to Albany! Den/Office could be a possible 3rd bedroom. 1 car garage with extra car port. Central A/C. This sale includes residential dwelling and three lots (see docs for more details). Total acreage is combination of all parcels and taxes are combined. 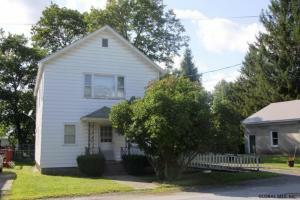 2 Bedroom, 1 Bath Apartment, located in the Town of North Greenbush. All Utilies are included, Water, Electric, Heat, Garbage and Central Air, Washer/Dryer Close to Everything including HVCC. Available May 1, 2019, 1st Month and Security Deposit. Owner is a Licensed Sales Agent. Build your dream home!! Plenty of space for your home, gardens and animals. 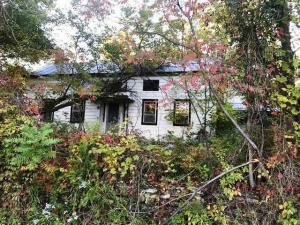 Property has well and electric already on it as well as a barn that would be a great fixer-upper! Step back in time in this beautifully restored, timber frame post and beam home!! The hand hewn beams with wooden joinery and wooden pegs are visible throughout the home. Enjoy Rustic Hickory Cabinets, Italian porcelain tile in kitchen, halls and bathroom, a custom oak staircase, and a wrap around porch with recessed lighting. 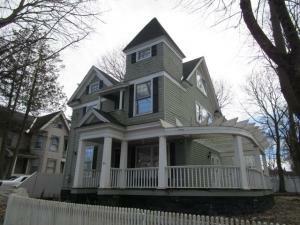 There is a new roof with eaves, new stove, new windows & a new furnace, Plumbing, electric & insulation have been updated. Nothing has been overlooked! There's a barn with plenty of storage and land for animals and gardens. The field out back is planted to Christmas trees for years of holiday cheer! Includes a 74x99 vacant lot. Tax map #141.3-35. 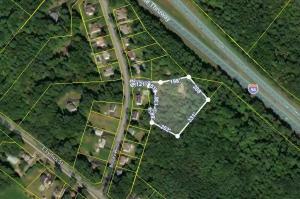 Additional 2.28 acre lot available. See MLS #201916896 for details. 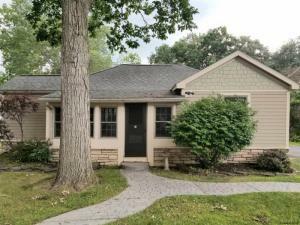 Cape Cod built in 1949 with 2 bedrooms and 1 full bath including a living room, dining room, 1 car attached garage and 1 car detached garage with an inground pool. 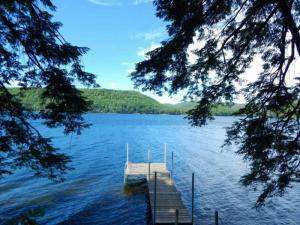 Minutes from Sacandaga Lake, Community College and NYS Thruway. Cash offers require 10% EMD or $1000 whichever is greater and financed offers require 1% or $1000 EMD whichever is greater. *No showings until Monday the 22nd per owners request. 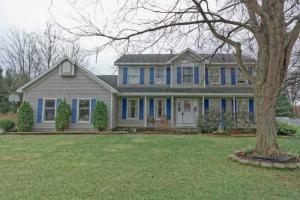 This 4 bedroom, 1 & 1/2 bath Colonial is just minutes to everything. Eat in kitchen, Formal Dining, Large Living Room, Hardwood Floors, Slider to rear deck & above ground pool, & fire pit. Attached oversize garage and workshop. Finished basement with bilco doors. Lots of potential here. 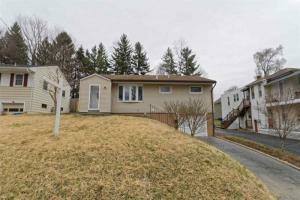 Well maintained two family property with a large yard and adorable out door spaces. 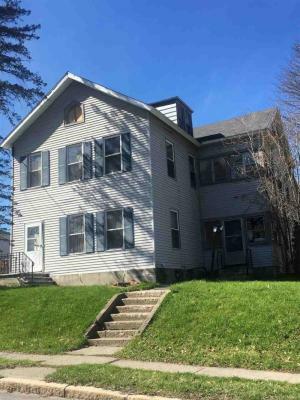 Whether you are looking for a beautiful home to live in that has a tenant to help pay the bills, or you are seeking a long term investment property, this one is for you. Both units come complete with decks, parking, large living areas, well equipped kitchens and are easily capable of having central air. This home is also close to major arteries, public transportation, and many amenities. Schedule your showing today! 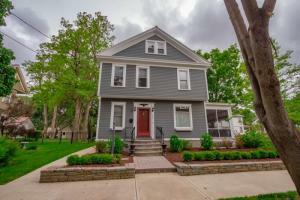 Completely remodeled 1st floor apartment located in the village of Waterford. Gleaming hardwood floors, 1 large bedroom and 1 regular size bedroom, brand new kitchen, washer and dryer hook ups, use of deck and yard. Located close to restaurants, stores, parks and water and on the bus line. Must see to appreciate. Enjoy maintenance free living in this Immaculate 1st floor Knollwood Hollow condo with a full basement. 3 1/4 inch hardwood flooring runs throughout the spacious living, kitchen, and bedroom areas while the master bath and full bath offer tile flooring. The master bathroom has a gorgeous tile shower with double sinks. Keep cozy in the family room with the gas fireplace or escape to the porch area for a relaxing evening or afternoon lunch. 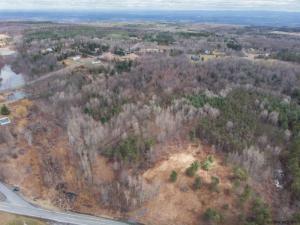 Come build your dream home or enjoy nature on this beautiful 31.7 Acre lot with 1,000 ft. of frontage on Route 157 in Knox. 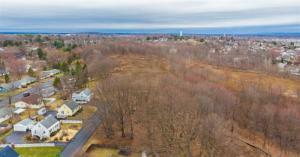 Surrounded by Thatcher Park, this lot consist of many varieties of trees, potential to have logged, solar fields, a small sub division. Perfect country setting just outside of Altamont and and less than 30 mins to Albany. Calling all Mechanics! 5 bay mechanics garage available! Are you looking for a self employment opportunity? A chance to grow your own business in a great area? With several years of respected service done at this establishment you will be sure to have customers lined up! You can't beat this price with the amount of tools being offered. Owner financing available!! Hurry this won't last long! See Documents for included tools. Must see! 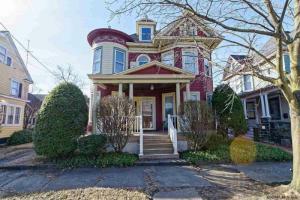 Lovely 2 story old style home in the heart of Cohoes! 4 bedrooms, 1.5 bath, off street parking on nice street. Home is currently occupied to residents m/m lease. 24hour notice required for all showings- contact showing time to schedule showings. 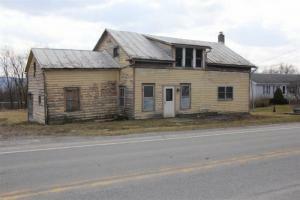 Excellent building opportunity! Parcel ready to go to build your dream home in a quiet neighborhood. Snag this lot up before its gone! This is another amazing Fannie Mae Homepath property which features 4 spacious bedroom with lots of closet space, 2.5 modern bathrooms, combo living room/dining room, open kitchen with newer white cabinets and gas space heater, 3rd floor with bedrooms and storage space, wrap around deck, huge 2 car detached garage in a great neighborhood. EZ 2C~! 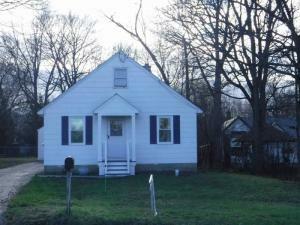 Nice investment property or owner occupied for income and to pay your taxes. Units 1 & 2 are left vacant for showing. Front apt on 2nd fl has full enclosed porch. Unit 3 has a month-month tenant at below rent. Full attic and basement. New roof. Rent includes water, sewer, heat, hot water & electric upstairs. Downstairs has separate furnace, tenant pays for heat & electric. New carpets & upgrades in 2 units. Property historically rents quickly ($1,200, $700, $500). Showings start Mon., 4-22-19. Beautiful setting to enjoy this home with gorgeous master suite and sitting room, huge closet and 2 bathrooms. Open living room with fireplace to the solarium to enjoy plants and sunlight. Additional bedrooms on the second level and bath. Family room with fireplace. Cozy family room with built ins. Gorgeous grounds and circular driveway. Oversized 2 car garage. Lots of room for family enjoyment and close to everything with a country feel. 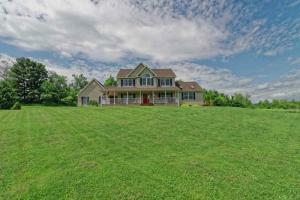 Beautiful yard and acreage. Circular brick drive. Listing Courtesy of: Coldwell Banker Prime Properties Inc. 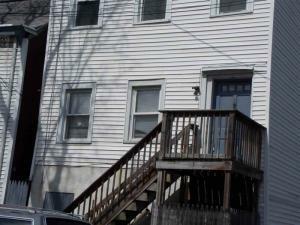 Bright well maintained one bedroom second floor apartment with bonus room for study or office. Lots of windows with southern exposure. Convenient locations to shopping. Off street paved parking for 2 cars. Entertain friends and family on a lovely semi-private back deck.Available May 15 . no pets, no smoking, credit check required. One year lease. 24 hr notice required to show. Garbage, water and sewer included. Wired for cable. Stunning Lake Front property with beautiful mountain views, open fields, some woods, and 200' of LAKE FRONT on Bear Gulch which allows small motors. 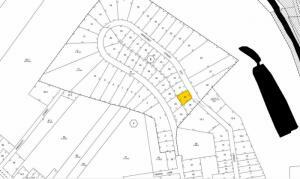 All level land to build your new home any where on the property! This one is ready for summer fun!! 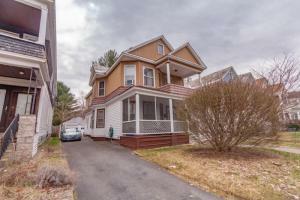 Well cared for 2 bedroom on private dead-end road. 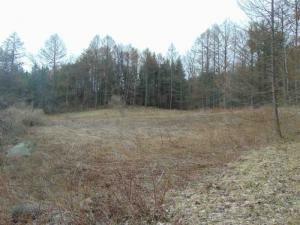 Square acre parcel in country close to skiing and hunting. Priced to sell! Welcome to this stunning Clifton Park townhouse in the much sought after Stoney Creek townhouse community at N'Way Exit 8! This home features: gorgeous renovated kitchen including Schrock brand quality cabinetry, Cambria quartz counters, updated appliances (2014) including Bosch dishwasher, glass tile backsplash. High quality 3 1/4" engineered black cherry hd/wds on 1st floor. Baths include granite counters & updated vanities. Walk-in closet in master bdrm w/ separate vanity & sink! Newer windows (2009), h/w heater (2014), Bryant furnace (2014). 2nd floor loft w/ lovely custom built-in shelving - a reader's retreat! Pull-down attic storage too. Minutes to N'Way Exit 8, golf range, restaurants, rec/fitness facilities, pharmacies, retail & grocery shopping! MOVE-IN READY! 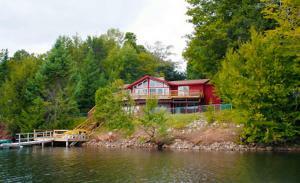 Four year old , year round, lakeside cottage with 80' direct frontage and exquisite sunsets. Beautifully decorated open floor plan with two bedrooms and a full tiled bath. Large lakefront deck . Fully furnished and move in ready. 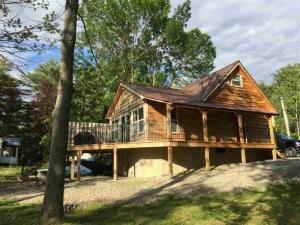 Don't miss this lakeside living opportunity ! 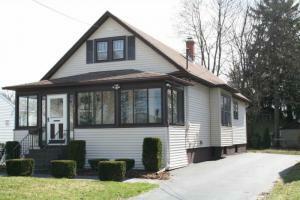 Welcome to this beautifully maintained 2 bdrm, 2 full bath bungalow in Mohonasen schools! Located only minutes to Crosstown Plaza, this home features: lovely 3-season sunroom w/ custom waincoting, approx 12 foot ceilings, 2 charming stained glass transom windows, original beveled glass front entry door, original hd/wd floors, open floor plan w/ living rm flowing to large dining rm w/ window seat, galley-style eat-in kitchen w/ plenty of counterspace & cabinets, two bedrms & an office. Full first floor bath w/ shower/jetted tub combination. Partially fin basement includes full bath w/ laundry, plenty of room for play, storage areas & Bilco doors. Newer furnace, roof (2003), windows (2012). From kitchen, entertain guests in fenced backyard w/ lovely patio too! Enjoy effortless living in this elegant rare to find stand-alone unit with attached 2-car garage in Interlaken. Nestled between Lake Lonely and Saratoga Lake, this completely renovated, elegant home offers 2000+ finished sqft at its finest. 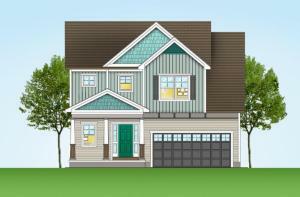 First floor master suite w/ walk-in closet & new master bath w/ subway tile walk-in shower. New chic kitchen w/ subway back-splash, ceiling high cabinets, walk-in pantry w/ barn door & farmer's sink. 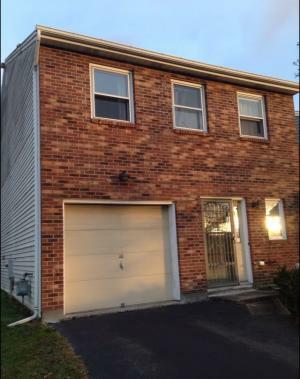 Finished basement w/ large family room, spacious guest bedroom and full bathroom. Nine-foot ceilings boasts all new lighting. New flooring throughout. Enjoy the outdoors with new landscaping, new deck and community amenities such as pool, tennis courts, putting green, club house & walking distance to Lake Lonely or Saratoga Lake. Seller related to agent. www.1819Seventh.com for all Updates! Move-In Ready 4 bedroom | 2 Bath home. Fully re-painted interior, exterior painting, newer windows, new carpet tile & carpet on stairs, new composite life-proof flooring, lighting fixtures & appliances. Both bathrooms are redone, maple kitchen cabinets with new backsplash & hardware ! Property SOLD AS is. Furnace & Hot Water Heater in working ordered. 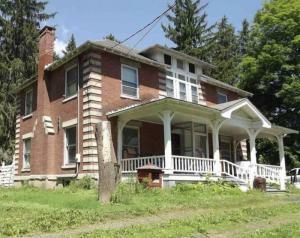 This rare home in Watervliet will not last long. Listing Courtesy of: Monticello L.R.E.B. A beautiful stately & classic luxury home in highly sought after downtown Saratoga Springs neighborhood with many upgrades and amenities. Beautiful coffered ceilings and stained glass windows, carrera marble in kitchen, enjoy the built-in breakfast nook, bright interiors, easy flow living spaces all leading to your enclosed screened side porch making it the perfect entertainment spot on summer nights. Private master suite wing for privacy. 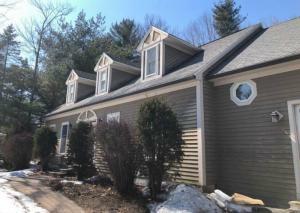 Bonus third floor finished walk up provides perfect playroom or additional office /living space. Gym in the lower level keeps everything at your fingertips. Big yard and private 2 car garage in the back of the house. Easy walk to the track and downtown! Lake Avenue Elementary. Be the envy of all your friends, move in ready! Productive work space at The Mill! Space is 120 SF and is located on the 2nd floor. Comes equipped with desk, chair and small file cabinet. Space shares waiting area, conference room and kitchenette. Perfect if you're just starting a business or need a small office...and it's an affordable option. Wi-Fi available. 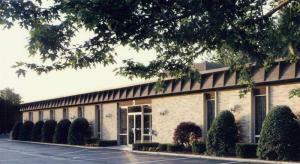 The Mill offers a staffed reception/waiting area, kitchen, conference rooms and private on-site parking lots. 1 year minimum lease term. Broker has ownership in this property. Colonial in Clifton Park w/outstanding location tucked into a neighborhood with in walking distance to tennis courts and playground. Custom 3 BR, 2.5BA w/updated kit. w/SS appls., double ovens, granite, backsplash, breakfast bar, plus bump out for dining and formal DR. FR looks onto large deck & yard - ready for cookouts. Master Suite w/sitting area, bath and 2 closets. Convenient 2nd floor laundry, Stamped concrete walk, generator hook up, hardwood floors, plantation shutters & space in bsmt. for play and storage. MUST SEE! 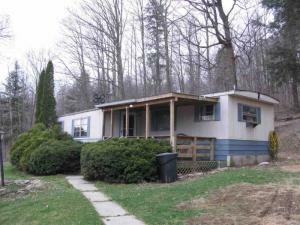 Move-in ready 3 bedroom, 2 bath ranch home on 8.69 acres. Open floor plan, large rooms, & fireplace in family room. Many outbuildings for business opportunities or hobbies. 30x50 building, 16' ceiling height, 14' overhead doors, radiant floor heat, insulated, 1/2 bath, 200 amp electric service. Two garages, 24x28, 20x20, with concrete floor and electric. 24x30 three sided storage building. This property has endless possibilities. A must see. 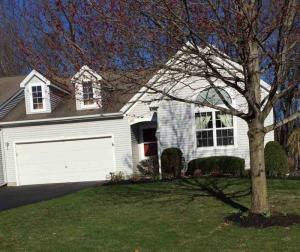 This 3 Bedroom 1 1/2 bath Cape Cod in Award Winning Burnt Hills/ Ballston Lake School District. Close to everything. Hardwood floors have just been refinished. Fenced in yard. Great starter home or down-sizing. 97'+ direct, level Waterfront located on sought after Sinclair Point on Great Sacandaga Lake w Stunning Lake & Adirondack Mountain views. Perfect location: Quiet, & scenic w sandy beaches & boat docking. No roads to cross, no stairs to water. 1.09 acre provides plenty of outdoor space and rarely found respectable distance from neighbors. Built in 2007, basically New home with gorgeous Lake Views, soaring cathedral ceilings, open concept, 2 story Stone FP, Adirondack wood trim & granite counters. Walkout basement w slider & windows, 9' ceilings could easily be finished for more great entertaining space. Dock & generator included. Most furnishings can stay. Imagine this property in just a short time w green grass and sandy beach & this is where you will want to be! Restaurant entrepreneurs take note! Motivated seller is relocating out of area and offering this turnkey building with like new kitchen equipment, furniture and fixtures renovated in 2017. 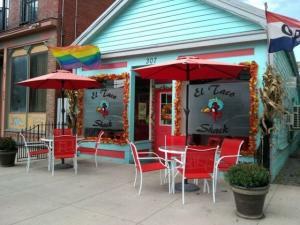 Continue your business with the current popular Mexican cuisine, or bring your own culinary creativity and flavor to this busy Main Street location. The county courthouse/DMV office building, school and other Main St. businesses are a short walking distance way. There is currently seating for 22 inside with room to add, plus seasonal sidewalk seating. A fenced rear courtyard with a new 10' x 20' shed building has development potential for patio seating, expanded service or storage. Seller will consider financing with 50% down and good credit. A complete list of included equipment is available. 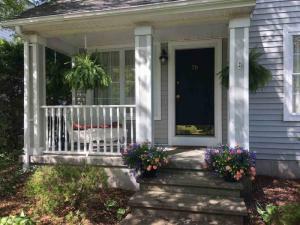 Charming Dutch Colonial with Rocking Chair Front Porch. Open Flow, Fireplace Insert, Hardwood Floors, Cute Kitchen w/ Blue Accents. Newer Roof and Furnace. Rear Yard w/ Koi Pond & 4 Season Sun-room. Walkable Neighborhood- Library, New Scotland Elementary, Hospitals, Restaurants, The Art Room, +++...Was a Two-Family, Converted back to Single Family many years ago. 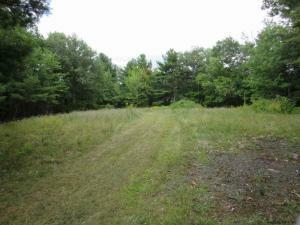 Approved leveled private key hole lot in the desirable Guilderland school district. Conveniently located to shopping and major highways. All utilities available which include water, sewer and electric available at roadside. Recently surveyed and cleared for a single family home to be built. Owner is a licensed real estate agent. 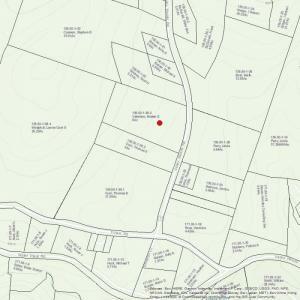 Approved hilly private key hole lot in the desirable Guilderland school district. Conveniently located to shopping and major highways. All utilities available which include water, sewer and electric available at roadside. Recently surveyed and cleared for a single family home to be built. Owner is a licensed real estate agent. 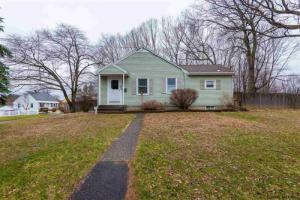 Beautiful, three bedroom raised ranch on a quite street. Beautiful kitchen, hardwood floors, 1 3/4 baths, finished basement, freshly painted, large back yard with a large deck and an above ground pool. Great home to raise a family. Must see. 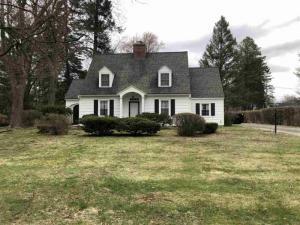 Charming Traditional House on almost 5 Acres! Vaulted Ceilings, large bedrooms and living space, Gas Fireplace, Wet Bar Area! Tons of potential! Upstairs deck overlooking property! Large Barn on Property, Once housed Horses. Needs work. 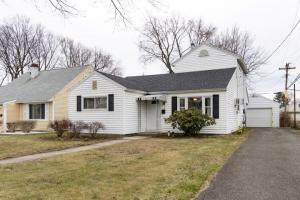 Located in town of Charlton with the Burnt Hills School District! Additional adjacent 5 Acres Available. 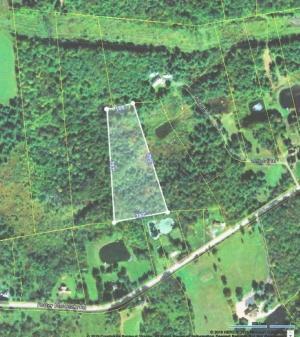 Total Acreage Could be 9.88 Acres! Great opportunity to build some equity or a completely custom home. House gutted and recently re-framed. Separately deeded 1.2 acre lot next to home negotiable as well. MOTIVATED SELLER! Amazing interior renovations and neat as a pin is what you will find when you walk through the front door! 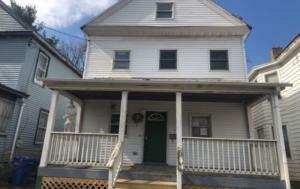 This 3 Bedroom 1.5 Bath home beams with pride of ownership and is just waiting for its new family. Nice sized rooms and a great yard for summer entertaining. Built-ins bring extra storage and extra charm... Easy commuting to all major roadways. If you are craving a country home without no loss of convenience to shopping, this is the home for you! In-town rental available for long-term lease as of 5/15/19. 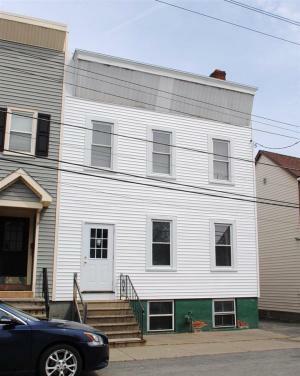 Updated bungalow located steps from Beekman St arts district and a quick walk to downtown. Hardwood floors, e/i kitchen, 4 BR, lots of storage. New baseboard heat in master BR. Back deck and one o/s parking spot. Pets may be permitted. This is a meticulously constructed customized Adirondack Great Camp built in 2006-2008 by area artisans and the artist owner. There is a U-shaped crib dock with deck above on 162' of straight shoreline, a detached 2 car heated garage, lakeside patio and enchanting spacious porches. There are antique windows in some areas, distinctive hardwood walls, reclaimed barnwood beams and doors, hand crafted railings, cherry flooring, Hemlock log and cedar shake siding and multiple crafted ADK styled covered porches. There is a 5 mph zone shoreline which allows for swimming to the Waltonian Islands close to shore. 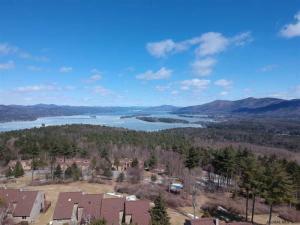 The views of Lake George, her mountains and islands are a panoramic wonder. This 3 unit building went through an entire renovation 5 years ago with all new plumbing, electrical, hardwood floors, granite countertops, stainless steel appliances, new cabinetry and all new bathrooms. All units have washer and dryers. This is a CASH COW with over $52,000 in gross income annually. Proforma attached. Off street parking !!!! 6 TANDEM PARKING SPOTS IN BACK OF BUILDING. Rare find, won't last long. Tenants pay all utilities. Location is fantastic! On bus line, walking distance to St Rose and SUNY Albany. A 24 hour notice is a must, no exceptions. Please call Crystal for lease information. 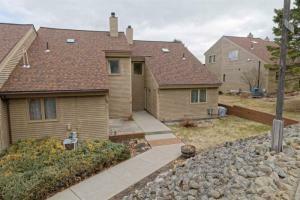 OPEN HOUSE SATURDAY 4/20 , FROM 12 TO 2 Maintenance free first floor, end unit condominium. You’re going to love the large and open concept of the living room /dining room combo. New sliding door leading to private patio. Master suite has two walk in closets. No through traffic on this quiet cul de sac. Very convenient location. HOA takes care of all exterior maintenance. 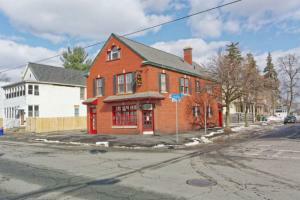 Investment opportunity for someone that has always wanted to run their own bar/tavern business. Turn key. Recently Restored to it's original charm of years past. Operating as The Pub on the Hill. Bonus three bedroom apartment on second floor and also an office with kitchen and bath on third floor. 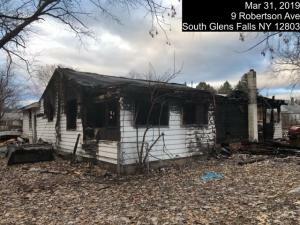 Here are some of the improvements done in 2018 - New roof, New Lennox furnace, New 50 gallon hot water tank, complete New kitchen - including fire suppression system, New lighting and fixtures, blacktop and gravel to exterior parking areas and sidewalks, bathrooms remodeled, New compressor for walk-in cooler & New flat screen TV's. Much more to list. All woodwork and walls freshly painted and stained in bar and dining area. Established clientele and previously known as The Pub Laurent. Two family move in ready condition! Near Emma Willard. 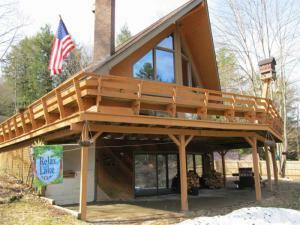 This Adirondack Log Home is a must see!! Enjoy the view from the wrap around deck that's accessible from every room. The Living Room boast cathedral ceilings with beautifully exposed beams and a wood pellet stove. Private master suite with huge walk-in closet and full master bath. Full walk out basement that could easily be finished for additional living space. Basement has a second wood pellet stove in addition to the state of the art Buderus Hydronic heating system. Brand new fenced in back yard for your 4 legged friends. 15 Minutes from Saratoga, Glens Falls and Queensbury. 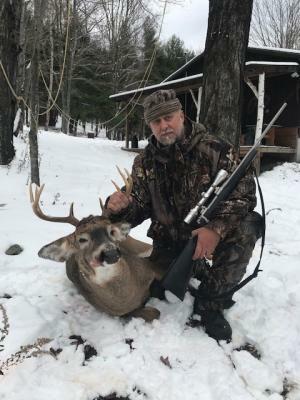 All this on 15 plus treed acres for hunting, hiking or four wheeling. Tucked away on a private Loudonville street, sits a unique home that offers much more than initially meets the eye. 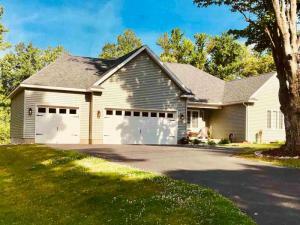 You will be pleasantly surprised by the spacious 4500 square feet inside of this North Colonie home. This 5 bedroom design offers a mix of classic woodworking paired with tastefully updated kitchen and baths. The first floor offers a private office and library overlooking the private grounds, including a salt-water pool. The second floor boasts a spacious master suite with a bathroom and closet that are a must-see! Recent landscaping and a brand-new roof make this home ready to be enjoyed by it's next family. 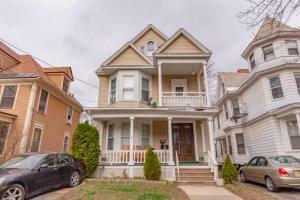 This first-floor unit in the much sought-after Cambridge Manor Neighborhood features 2 spacious bedrooms and 1 full bath that is handicap accessible. The newly painted, bright and open floor plan boasts a family room, dining area and kitchen that’s great for entertaining! The master bedroom offers a large walk-in closet. Located directly across from the pool and close to parks, restaurants, shopping and highway access. Schedule your private showing today! 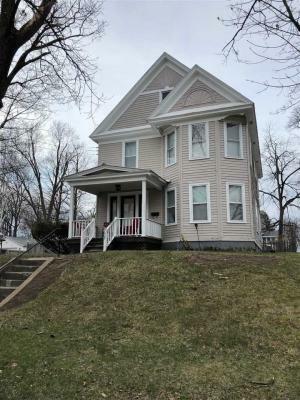 The owners have lovingly maintained this home over the years plus just freshly painted all the rooms, cleaned the beautiful wood floors and taken care of many little items ..All for you! If you are into crafts or need an at home office space,this beauty has room for you to spread out! If entertaining is your hobby, this home flows well for all size crowds or intimate dinners. Enjoy relaxing on the front porch or BBQ to your hearts' content on the rear deck. The first floor bath is handicap and makes life easier for all of us! Amenities you will really enjoy like a full house generator, paved driveway, easy care vinyl siding, large back yard, 1st floor laundry and ceiling fans are there too! Convenient location to Library, Village Park, Stores, Churches, Doctors and social events. End unit with wrap around deck! All the work has been done for you, just move in. Wonderful views from inside and out. Sophisticated living at it's best and only minutes from Lake George Village, marinas, hiking, indoor/outdoor pools and clubhouse with exercise rooms, sauna and tennis court. Get the attention you deserve. All new custom kitchen with Wolf range, quartz counters, new walk in shower, so many extras. All next to an 18 hole golf course and restaurant. GLASS LAKE ACCESS!! 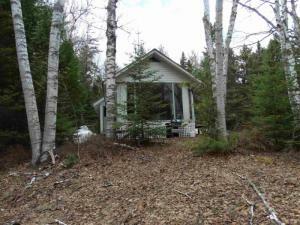 Gorgeous lot with potential views of both Glass Lake and Crooked Lake. This lot also incudes a 20' easement onto spring fed Glass Lake across Rts 43/66. Municipal sewer available. The fabric and gravel already in place for the driveway as well as drainage. Cleared home site up high for high end home. Incredible mountain views once developed. Access will require DOT curb cut for vehicular access. This charming bungalow home has so much to offer! Beautifully decorated with so much love and care. The home offers 2 bedrooms with one downstairs and HUGE bedroom upstairs with plenty of room to add on another bedroom, master bath and walk-in closet. There is an updated bath with handicap accessible tiled shower. A fenced in area for you pet, and a 1 car garage with plenty of room for you to turn into a man cave or private office with heat and A/C. 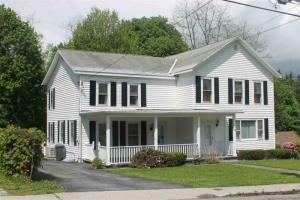 Looking for the opportunity to live in an affordable house in Saratoga Springs close to everything? 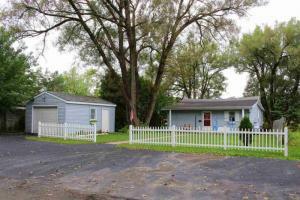 This comfortable 4 bedroom, 2 full bath raised ranch may be just the right house for you. 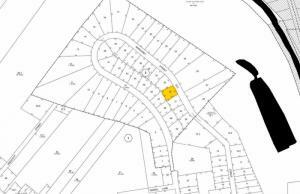 Located on a quiet low traffic cul-de-sac across from the Geyser Rd Elementary school and the recreation field/playground. Freshly painted, 1st floor hardwood flooring, updates include window replacements, furnace, A/C condensing unit, hot water heater and gutters. 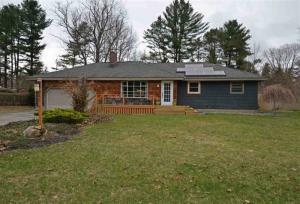 Situated on a treed lot with a large deck overlooking the private rear yard. In addition there is an outbuilding with full service perfect for entertaining or a get away. 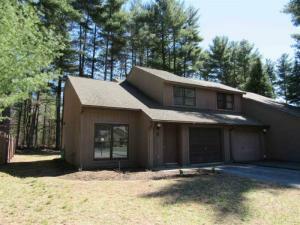 Conveniently located in close proximity to SPAC, State Park, downtown, schools and I-87. Vacant and easy to show. Open House Saturday 4/20 From 12-2PM!! 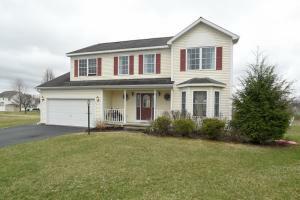 Gorgeous move-in ready 4 Bed/2.5 Bath Colonial, located in the Guilderland School District! Sitting on a huge lot, this home features Maple wood floors, wall-to-wall carpet on the 2nd floor, sliding glass doors with 'Between-the-Glass' blinds, vaulted ceiling, skylights and more! Partially finished basement being used as a second family room. Newer roof and hot water tank! Attention to detail and quality stands out in this well situated 5-acre private homesite, outfitted with: gourmet kitchen, formal dining room, 1st floor den/bedroom with 1st full bath, oversized family room leading to an enclosed custom 3-season room. Three fireplaces and master suite round out this home’s interior. Additional features: hardwood floors, granite kitchen countertops, stainless steel appliances, French doors, attached 2 car garage. Does your dream home also include a dream garage/workshop? Detached 6 bay garage is a jaw-dropping 1,632 sq ft (34'w x 48'd) of insulated heated work space with 11-foot ceilings. Equipped with a Mohawk 7,000 lb lift. Garage’s second floor is 576 sq ft & accessed by a full staircase for future finishing. A true must-see! 5 miles from SPAC. Quiet residential neighborhood. 3 bedroom cozy single family home with a fenced-in yard. Newly renovated--freshly painted, new flooring; move-in condition. For ambiance, enjoy an electric fireplace in the living room. Washer/dryer hookup is on the 1st floor. Close to Albany Memorial Hospital (St. Peter's Partners); 3 blocks to an elementary school; 2 blocks to a bus line. Sorry, no programs are accepted. Credit checks will be done. Small pets and smokers are allowed. Requiring security deposit, 1st month's rent and pet security deposit (if applicable). Rental period is month-to-month. 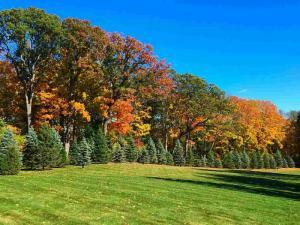 Area of fine homes, level lot, close to Amtrak, shopping, Regeneron, I90. Public water. Located in Historic Sharon Springs. This home offers endless opportunities. Quaint 2nd floor owners quarters, two bedroom, spacious layout. Move-in ready. Customize 1st floor to meet your professional needs, studio, office or residential apartment. Convenient locaiton. Walk to all amenities. Welcome to the Adirondacks and Indian Lake! This cozy camp on 2.28 acres along with deeded access to the shore of Indian Lake offers peace and quiet on a secluded property with filtered lake views. Four separate parcels are offered for one low price..keep the cozy camp with room to expand or build your dream second home. The great room offers a two sided wood burning rock fireplace and a beautiful window wall to watch the wildlife and see the filtered view of the lake. 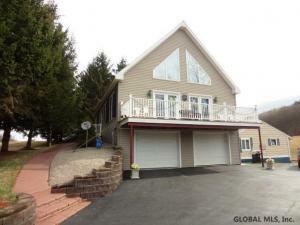 Minutes to the Town of Indian Lake! On the Rocks" at pristine Peck's Lake, a place to call "Home". 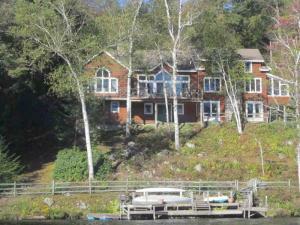 This custom Chalet style Home is perched in a private lakeside setting offering expansive lake views. The property is bounded on one side by an open wild area to enhance privacy. If you are seeking the lake living lifestyle, you will find it at "On the Rocks"! Enjoy your private 100 feet of direct lakefront, relax and entertain on the spacious wrap around deck or just sit back and enjoy the wildlife. Two fireplaces, one upstairs and one down in the game room, enhance the true Adirondack ambiance of the Camp. The two car garage offers space for all those winter and summer toys. Lakeside Artist's Studio a must see! 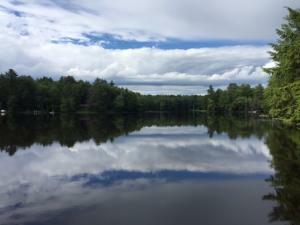 Peck Lake is located in an Adirondack four season playground offering the best of all seasonal activities. QBO only. 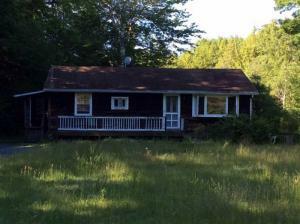 Year round 3 Bed Ranch with rights to Schroon River! Freshly painted and open floor plan awaits you- perfect year round home or vacation spot.. Take in nature and listen to the river as it passes by from your spacious screened in porch. Cozy up to the wood burning fireplace in the living room in the cooler months. 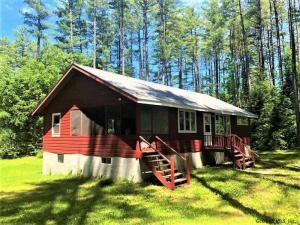 This property has rights to Schroon River where there is a rope swing, fire pit and memories waiting to be made! 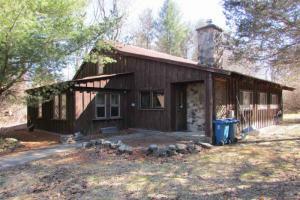 Also close to high peaks, all amenities in the town of Schroon, hiking, skiing and snowmobile trails. At quickly to be in for this summer season! 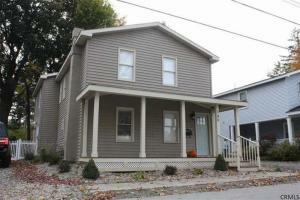 Spacious updated 2 family home steps from Union College in desired rental demographic. Each 1300+ sq ft flat has 3 bedrooms in each unit. Perfect Owner Occupy or Investment!! Ceramic tiled eat-in-kitchens, ceramic tiled bathrooms. Large living rooms, formal dining rooms. Full attic and basement. 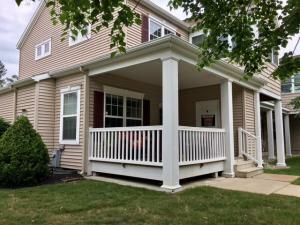 Front & rear porches w/ each unit. Separate utilities. 2nd Floor Unit will become available May 1st. Off street parking & detached 1 car gar. Convenient location to , GE, Rivers Casino. 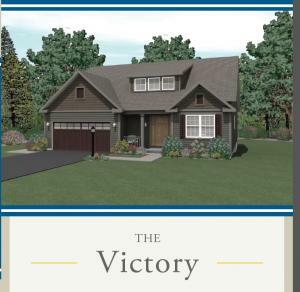 New home to be built by Owen Roberts Builders. Construction to start May 2019 for August 2019 move-in. Rare opportunity to own a brand new home for under $275k. All public utilities in a fantastic location. Maple kitchen cabinetry w/crown molding, Granite countertops, SS appliances, Kohler plumbing fixtures, High efficiency furance & AC w/built-in humidifer & programmable thermostat, insulated garage door w/opener, double hung windows, 10'x10' concrete patio included to backyard, blacktop driveway and landscaping package. Customization is available. Listing Agent related to Builder. 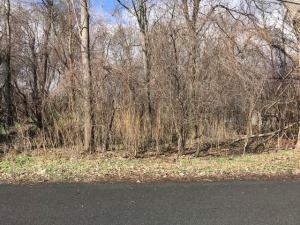 Beautiful 3.22 acre picturesque approved building lot located on Turner Road adjacent to South Shore Road with 10ft of lake rights for dock usage. 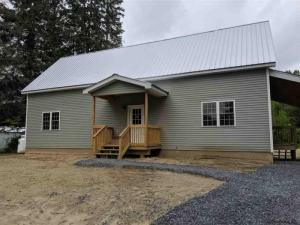 Build your dream home here with stunning views and walk down to the stunning Sacandaga Lake for all your boating enjoyment. Electric at road. Quiet country setting. 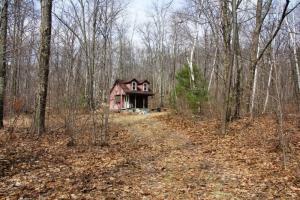 22 mostly level wooded acres. Off the grid hunters cabin with sleeping loft. 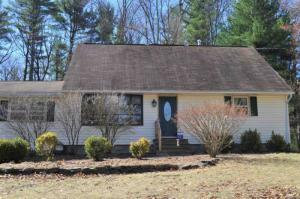 Close to Mallet Pond and several thousand acres of state land. Subdivided into 2 lots. Natures finest abundant of wildlife. Green condo in Center Square. 2 bedrooms and 2 full bathrooms with gorgeous balcony overlooking Lark Street. Hardwood floors, crown molding, 9ft ceilings, picture rails, tile bathroom, pedestal sink, cast iron tub, honeycomb tile, energy-efficient custom windows (’11), built-in bookshelves & cabinetry, decorative fireplace. Large storage room or walk in closet in the unit. Laundry & bike rack in bsmt. HOA incls: heat, hot water, gas, water, sewer, garbage, recycling, snow removal, building insurance, & more. Second floor condo, unit #2C. Check out the virtual tour on the website. Location, Location, Location; Single residential home, zoned UR3, with a income apartment in the basement. rent = $850 mo + utilities. First floor is currently being used as a Health Spa. 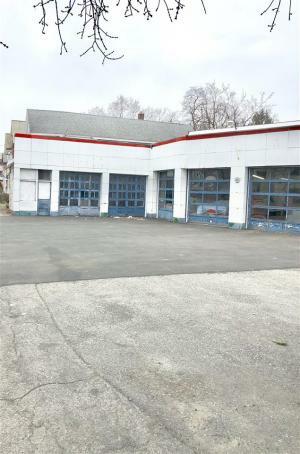 This property is in a Commercially zoned area and would have to get a variance from the city to be a legal commercial property. Call listing agent for other details. Picturesque country setting. 8 wooded acres. 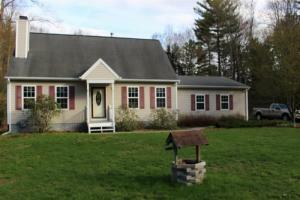 Close to Mallet Pond and several thousand acres of state land. Mountain views. Great for camping, hiking, and 4-wheeling. Electric at road. E-Z to Cobleskill. Settle into this one of a kind timber peg home that feels like your very own tree house. 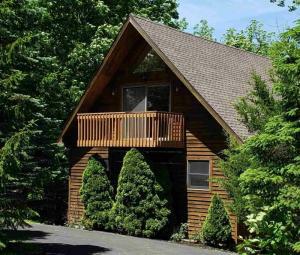 Enjoy views of the lake and mountains as you entertain on the deck or cozy up by the fireplace. This is the perfect home to entertain in year round, whether you want to boat, swim, hike, ski or just sit in the sun- this home offers it all. Granite counters, custom cabinets, southern yellow pine hardwood floors throughout. 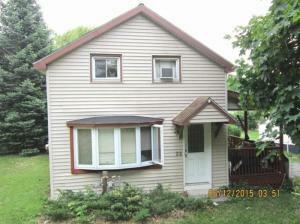 Full bath in basement, can easily be finished for additional living space or bedrooms. Furnishings negotiable. The dining set and rocking chair are not included. The fireplace was built by Barry Gregson and was one of his last projects. 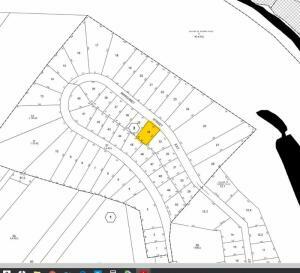 The lot listed next door and behind (3 total) can be sold with this for a combination price, it would give you almost 300 feet of lakefront. 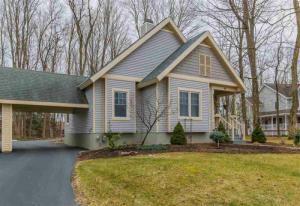 Charming, peaceful property minutes from everything Saratoga Springs has to offer. 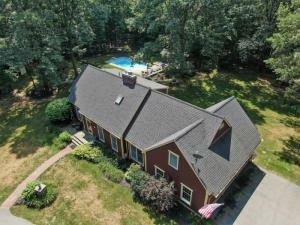 This custom built cape in pristine condition offers 4 bedrooms, 3.1 bath and a 3 car garage on a private, wooded 4.4 acre lot. Property boasts a beautiful refinished chef's dream kitchen with granite, gas stove, stainless steel appliances and eat in area that overlooks your large private backyard. Main floor also include formal dining room, living room, master suite (walk-in/Jacuzzi/double vanity), and mud room. Finished lower level provides ample space for recreation, a work out and laundry area. Serene leveled back yard with large deck overlooking the in-ground salt water pool and acres of family fun! House comes with a generator, central A/C and security system. Truly a must see home! Excellent recreation property or building site. Mostly wooded acres. Long road frontage. 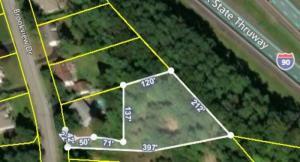 Surveyed into 4 lots. Seasonal stream. Richmondville Power and Light. E-Z commute to town. 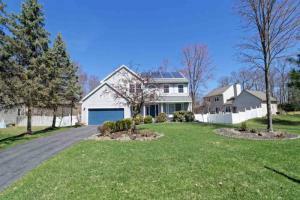 Beautiful center entrance colonial with open floor plan on quiet cul-de-sac. So much detail throughout! 2 story foyer, hardwood floors on 1st floor. 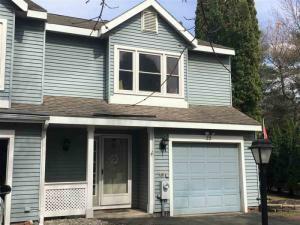 1st floor office/den with built in updated kitchen with granite, SS appliances, over sized walk-in pantry, 5th bedroom can be bonus exercise/playroom, fenced yard, over sized deck. Security system including security cameras, pad for hot tub, lawn sprinkler system, and so much more! Agent is owner. Fantastic two family with great rental income or perfect for owner occupy. 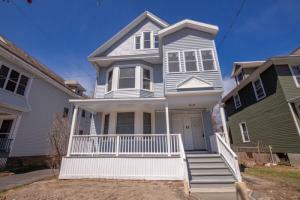 Conveniently located next to beautiful Central Park and walking distance to Upper Union St shops and eateries. Living Room, Dining Room, 3 Bedrooms and 1 bath in each unit both with large sitting front porches. Hardwood flooring and forced hot air in both units and offers separate heat, hot water and gas paid for by the tenants. 2 car garage, full basement and full walk up attic. Showingtime offers specific days/times for showings. Taxes Reflect NO exemptions. Four year old Amish built home. 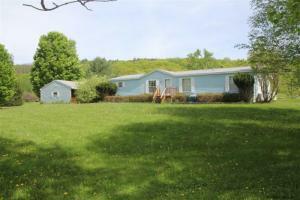 Two bedroom one bath home on 2.7 acres. 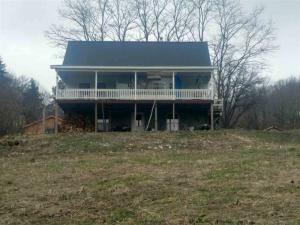 Metal Roof and a 12 x 36 front porch with breathtaking views of Madison County. Fantastic two family with great rental income or perfect for owner occupy. 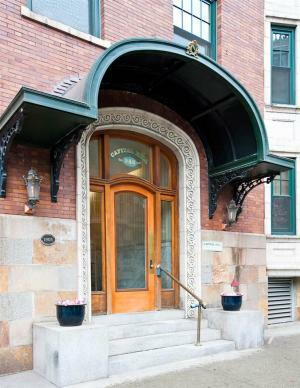 Conveniently located next to beautiful Central Park and walking distance to Upper Union St shops and eateries. Living Room, Dining Room, 3 Bedrooms and 1 bath in each unit both with large sitting front porches and enclosed back porches. Hardwood flooring n both units and offers separate heat, hot water and gas paid for by the tenants. 2 car garage, full basement and full walk up attic. Showingtime offers specific days/times for showings. Taxes Reflect NO exemptions. Proposed home on Builder's Lot#9. The Hudson plan has 1st floor master suite, 1st fl 1/2 bath/laundry, 2 bedrooms and main bath up. Open living w/9ft ceilings 1st fl, mudroom, and pantry. High quality build and standard features. Kitchens include extensive Kraftmaid cabinetry packages and granite countertops. Complete SS Kitchen GE Appliance package, hardwood in LR/Kit/DR, tile in baths/LDRY/MDRM, Carpet in bedrms. 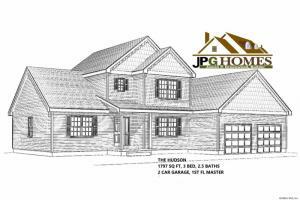 Hudson plan add options of fireplace, dual sinks, side load garage, deck or covered back porch, & 4th bedr/Bonus RM possible. 10 sites remain ranging 3/4 to 2.69 acres w/other plans available. All plans include CentrAC, full basements, attached 24x24 garage w/openers. Photos of similar home. 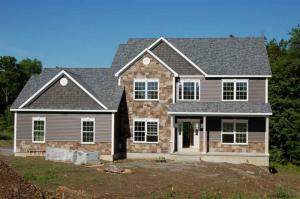 Model Home at 184 Redmond Rd Open Sundays 12-2pm thru May 12th, or by appt request. Remodeled through out and new roof! 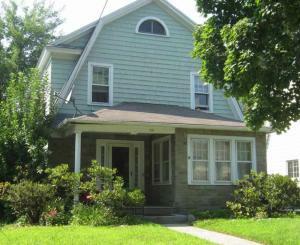 Two family on desired tree lined street with great rental income or perfect for owner occupy. Brand new kitchen and baths up & down with granite counters, stainless steel appliances & ceramic tiled baths. Living Room, Dining Room, 3 Bedrooms and 1 bath in each unit both with large sitting front porches and new back open deck porches. Hardwood flooring in both units and offers separate heat, hot water and gas paid for by the tenants. 2 car garage, full basement and full walk up attic. Showingtime offers specific days/times for showings. Taxes Reflect NO exemptions. The finest amenities & chic architectural design in this bright open 2660 SF corner unit in the heart of downtown Saratoga. Over sized, windows flood in light & provide amazing views of vibrant downtown Saratoga, & the Adirondack Mountains. No two sunsets alike!!! Enjoy morning coffee on the terrace or the covered balcony. Stunning gourmet kitchen is open to living room, dining area & bar/wine room, black wood floors & red brick columns add warmth to this great room. Sumptuous owners suite, guest bedroom en suite & 3rd bedroom/office are just a few features of this distinctive property. Includes fitness room, 2 parking spaces and 4 storage units located in the heated secured parking garage. 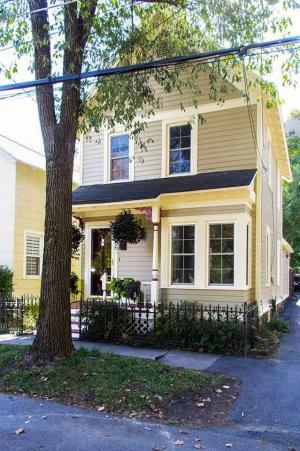 Luxury living in the heart of downtown Saratoga Springs. Walk to shops, restaurants, & more! Make this your getaway or year-round home with a little work. Enjoy views of Hadlock Pond. 2 bedrooms, 1 bath, vacant and easy to show. DO NOT MISS THIS OPPORTUNITY! 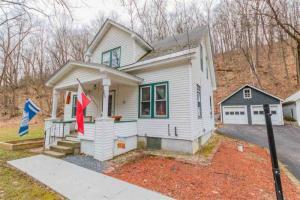 Adorable Cape nestled in the heart of Loudonville. Needs a little TLC and some updates but has loads of potential. Partially Fenced in yard and very private. Quiet family friendly street in North Colonie School district. Easy access to Route 9 and major highways. 10 Minutes from downtown Albany.Covered arched side entrance that leads to quaint garage. Sit and enjoy summer nights on your screened in porch with stone floor. Cozy den and eat in kitchen. 3 bedrooms upstairs and 1 downstairs. Formal dining and living room. Snuggle up in the cozy office/den/bedroom next to the fire. Built in shelving. Currently being sold an Estate so no PCD. Please excuse the photos, we are getting ready for an estate sale. Location! Location! Location! 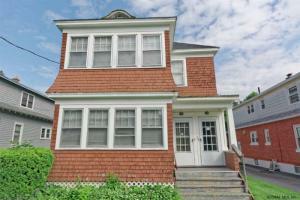 Move right into this beautiful Colonial with 4 Bedrooms and 2 1/2 Bathrooms. Conveniently located at the end of a quiet cul-de-sac in a very desirable neighborhood close to everything. Updated kitchen with NEW stainless steel appliances, granite counter tops, back splash and kitchen island. BRIGHT and open floor plan, freshly painted interior and NEW gleaming hardwood floors throughout the house (ALL 4 bedrooms). Back of the home has southern exposure. Spacious deck leading to private backyard with in ground sprinklers (front/back). Cozy covered porch at front door. Shenendehowa School District with Tesago Elementary and Acadia Middle school. Circa 1932 well built home offering wood flooring, Fireplace , Enclosed Porch, Updated Kitchen cabinets and countertop, 1.5 Baths, a small Garage , all within close proximity to amenities in the city. 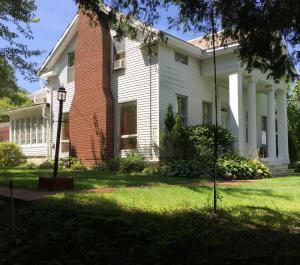 The home is being offered AS IS, you will enjoy the charm and character of this vintage style home. The property is being offered to Owner Occupants through the First Look Program to May 5th. 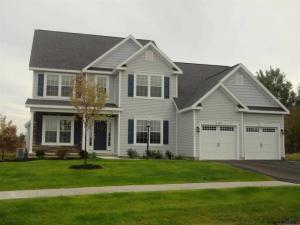 Amazing four year old custom Colonial with four bedrooms, four and a half baths on a lovely cul-de-sac. The transom windows fill the house with natural light. The open floor (living room, dining room, kitchen) is perfect for entertaining. The home also features a den with a two sided fireplace, hardwood floors throughout, and a second floor laundry. The finished basement adds additional living space with a family room, workout room and full bath. Beautifully landscaped property with a patio for outdoor entertaining. A must see! Charming home with plenty of space. Family room, living room and dining room. Kitchen needs a little TLC. Bathroom has been updated with a walk-in shower. Inground pool with 1 year old liner. Fenced yard. Quiet neighborhood. Convenient location! Property is an estate, to be sold as is. Charming bungalow with double lot and oversized detached garage. Move-in ready! Home has been freshly painted, new carpet, updated bathroom. This home is a must see! Welcome home to this beautifully updated split-level home situated on one of the largest lots in the neighborhood. 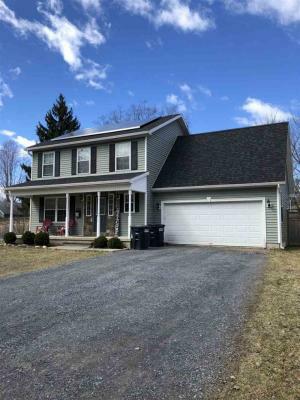 You will love the tranquil setting, located on a quiet cul-de-sac in The Dunes neighborhood of the Pine Bush Preserve with plentiful walking trails just steps away. Just minutes to NanoTech campuses, shopping and restaurants and easy access to downtown, I-87 and I-90. This home has a great floorplan for living and entertaining with room for everyone! You'll appreciate the many updates throughout including a remodeled kitchen with granite counters, newer flooring, replacement windows, more! The exterior boasts a large, private and fenced backyard with storage shed, freshly painted siding and decks, and very nice landscaping. There is nothing left to do but unpack your bags! 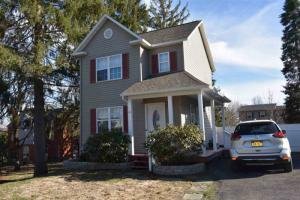 Spacious 4 bedroom, 2 bath home in Niskayuna Schools featuring 1st floor bedroom & bath, hardwood floors thru-out, stainless steel appliances in kitchen, family room with fireplace. Large yard with deck. 1st month & security deposit due at lease signing. Reference & credit check will be done. Must see! 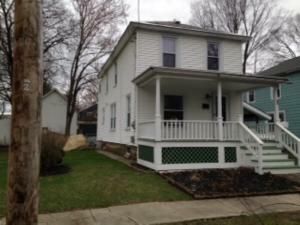 Duplex - Perfect owner occupied or 2 family investment property. 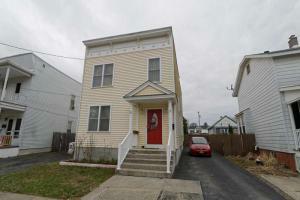 Upstairs rents for $650 and has one bedroom, one bath, dining room, livingroom and kitchen. Downstairs rents for $1050 and has two bedrooms, 2 bathrooms, kitchen, laundry room, dining room, livingroom. Lots of parking. Both water heaters were replaced in 2012, newer gas furnace, large back yard. 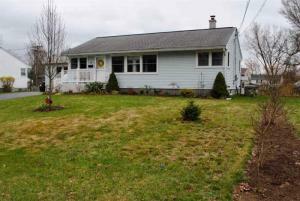 Adorable & sunny well-maintained bungalow in prime Latham location! 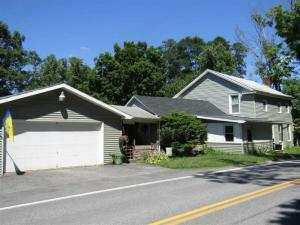 Corner lot on dead end street; young roof, siding, and gutters, beautiful hardwood floors, cozy eat-in kitchen, separate dining room (or could be used for office), good size bedrooms; efficient gas forced hot air; low taxes & low National Grid, North Colonie schools, great yard & privacy!! Adjacent lot on 51 Vista (0.20 sf) is also for sale; can be combined w/sale of 2 Ashland or sold separately. Absolutely charming and updated lake home perfect for year round or seasonal use! 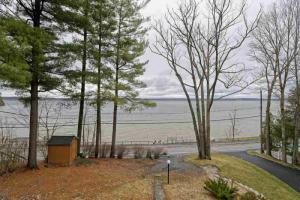 Deeded dock rights and partial water views make this the ideal, affordable solution for Saratoga Lake living. 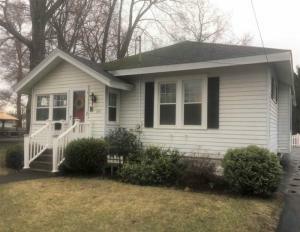 Features include an updated kitchen and appliances, updated bath, new carpeting, fresh paint, cozy front porch, rear deck, yard with fire pit and large shed w/ power. Large master bedroom with walk-in closet, spacious living room with beautiful ceiling. A must see! HOA maintains dock and green space. Large updated house 12 min walk from D/T and Track. Open concept Kitchen/Living/Dining perfect for entertaining or family gathering. All beds are Queen size. 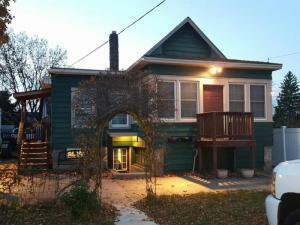 Washer & Dryer, Gas stove, central A/C, SS appliances, Hard wood floors, fenced in yard, off street parking. Will consider pets. Everything included!! Furnished, Cable TV, Internet, Bedding, Dishes, Towels.. Just bring your suitcase! Looking for full track season lease only, $1900 per week. This home is sure to warm its way into your heart. Enjoy the quiet sense of community in the Sherwood Acres neighborhood. 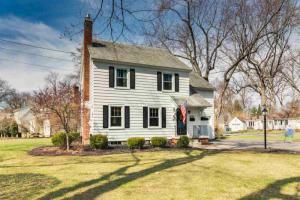 This charming colonial is situated on nearly an acer of land. With its expansive and landscaped back yard it is perfect for outdoor relaxation or recreation. It features a stone fire pit, horseshoe area and large stamped concrete patio perfect for entertaining! Even on a rainy day you can enjoy the fresh air on the attached 3 seasons porch. The kitchen has been updated and is fully equipped with new stainless appliances! The large family room features exposed wooden beams, a brick backdrop, custom built-in bookshelves and gas fireplace perfect for waiting out the winter. This house has been updated with new windows and has new wall to wall carpet. Also, Low LG Taxes! Spectacular family home located withing walking distance of Jackson Heights Elementary. 3 beds plus 4 bedroom/bonus room. Finished basement for 3 floors of living space. Fenced in back yard for pets and kids. Play set included. Two car garage and home is only 9 years old. Solar panels for energy efficiency. No showings prior to 4:30 Friday per sellers request. 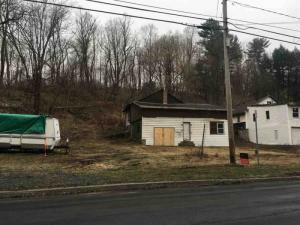 0.20 acres available in combination with 2 Ashland Ave or separately; treed flat uncleared land, ideal as additional yard space; possible use for timber. Own a bit of the suburbs in the heart of the city! 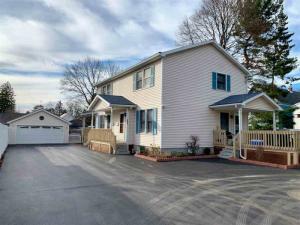 This 4 bed 2 bath home has been nicely updated in recent years. Newer appliances, flooring and vinyl windows along with a brand new boiler, hot water tank and electrical panel all make this a wonderful place to unpack and settle in. 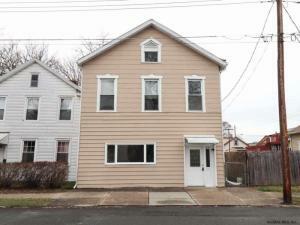 Conveniently located close to area hospitals, medical and pharmacy colleges and Albany Law School. Easily catch the bus or use the sidewalks to navigate around the City. 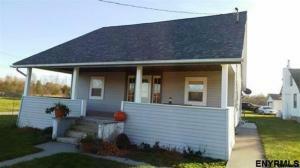 Affordable and low maintenance this home is a perfect starter home. The taxes are listed without any exemptions. Take a walk through this ranch home with open floor plan and modern feel. This home features 3 bedrooms and 1 full bathroom. The master suite has outside access to the deck & patio. Spacious living room with large bay window, wood fireplace and hardwood floors. The kitchen has stainless steel appliances and the room is open to the dining area and also has views into the living room. Other features include an office, breezeway, 2 car garage & full basement. Walk through the sliding glass doors onto the deck and enjoy sitting under the pergola that overlooks the fenced in backyard and in-ground pool with diving board. 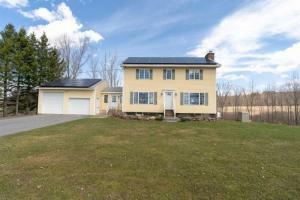 The home has new solar panels that are owned by the seller! Set up your private showing today! A diamond in the rough! House totally gutted and ready for you to make it your own! Large rooms, lots of windows overlooking the lovely country views. A post Irene re-routed creek, that is behind the property, should prevent any future flooding. Many homes on this same road, and some new builds. Come take a look and see the great potential this home has. 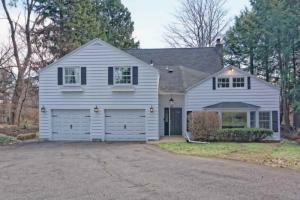 Solid two family in a conveniently located area in South Colonie School District. Long term 1st floor tenant pay below market rent, plans to move in May. New siding 4/2019. Second floor freshly painted and ready for tenant, neighborhood rents $800- 1100. for 2 bedroom & 1 bath. Tenants pays for their own utilities. Laundry hook ups in each unit. 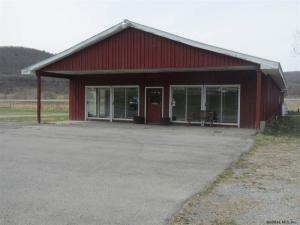 Great Retail/Office Property On Busy Route 7. 6.5 Acres. Formerly a Car Dealership. 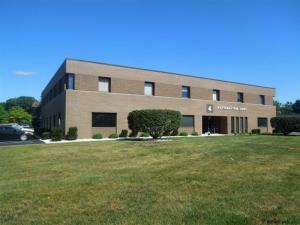 Approximately 2000SF Of Office & Retail, Remaining SF Is Warehouse Space. Also Available To Rent @ $5000/Mo NNN. In town home under $300k in a quiet neighborhood! 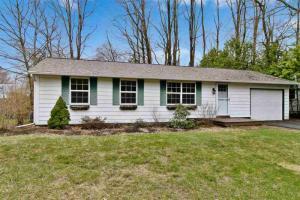 This fantastic updated ranch is cute as a button and move in ready! 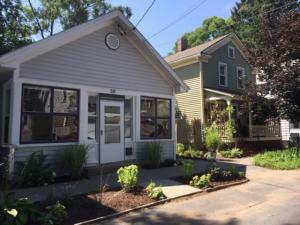 Walk to SPAC, YMCA, and downtown restaurants! Features include hardwood floors, fresh paint, updated kitchen with granite counters and new microwave. Basement offers a full bathroom and two finished areas that would make a great space for an office and rec room. One car attached garage, fully fenced yard with back patio. Newer roof and newer washer/dryer. Come see this great ranch today and make it yours! Pictures are of the furnished & decorated model home and include options and upgrades. Vistas West offers 24 ranch style town homes with an open floor plan &10' ceilings in the main living area. All homes have a pantry, mudroom, generous kitchen cabinetry with 36" upper cabinets, dovetail & soft close drawers, crown molding, comfort height vanities in the full baths & covered back porches. These ranch designs have an option of having a second master suite. The 2nd master suite could be used to care for a parent later in life or a caregiver & are large enough to create a private area, separate from the main home. Standard, garden style & walkout home sites are available. The HOA covers the common areas and a walking trail. Great location! 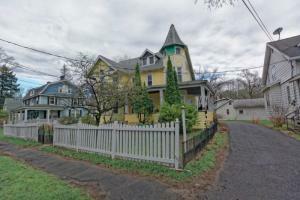 3 bedroom, one bath older singlewide on a wonderful building lot with view. Live here affordably or while you build your dream home in back. Good well and septic. Close to town yet secluded. New 2 story outbuilding plus a shed. 4.9 acres. Absolutely Adorable and Move In Ready. You will love this charming one level home recently renovated with all new... roof, windows, kitchen, bath, lighting, custom painting and so much more. 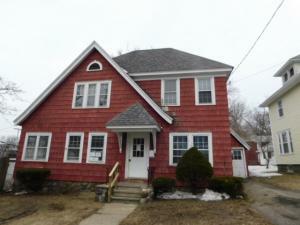 There is an enormous walk up attic for potential future expansion and a full basement. 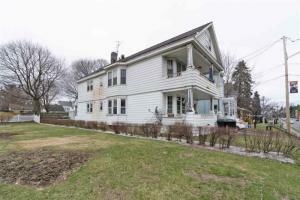 Located across from the historic Oakwood Cemetery and backs up to Frear Park. Call now for your private showing. 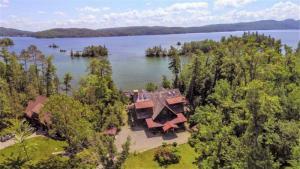 Incredible year-round LAKE FRONT home on peaceful Dream Lake. 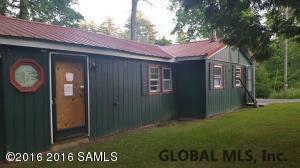 3 bedroom 2 bath Adirondack Style Chalet with vaulted Ceiling, great room with floor to ceiling Stone fireplace, wrap-around porch overlooking the lake, walk out finished basement with wood stove, and a huge detached 2+ garage with bonus room above; all on over an acre of privacy. Lake George Schools! 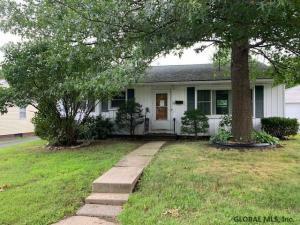 Cozy 3 Bedroom 1 Bath Home on nice size lot. 1 st. Floor features Living Room-Formal Dining Room- Semi Modern Eat In Kitchen-1 Full Bath with Washer / Dryer Hook up- Possible 4th Bedroom /Den/Play Room off the Kitchen- Rocking Chair Front Porch and back Deck over looking the Above Ground Pool. Nice yard for a Garden and Storgage Shed for your tools and equipment. Upstairs features 3 good size Bedrooms . 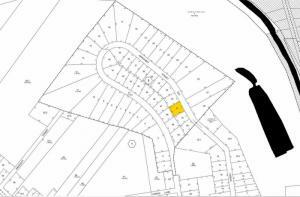 Level 5 acre parcel. Wooded. Very rural area. 2 bdrms and nursery/office. Updated kitchen with washed oak cabinets and blue counters. 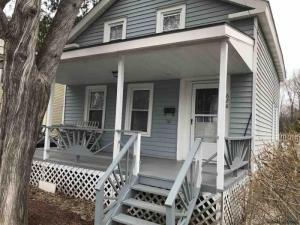 Wood floors, enclosed porch , fenced rear yard with inground pool. Put your touches into it to make it perfect. Quiet dead end street. Well maintained Building located on the Rt. 7 Corridor near the I-88 exits. Spaciou open floor plan with several overhead garage doors for easy access to unload products. Office area, retail area, storage area and restroom. Two bedroom apartment with separate access. Great visibility from Route 7 & I-88 for signage. The showroom area is bright and sunny with floor to ceiling windows. The parking and buildings are completely fenced in for security. Low utility costs with Richmonville Power & Light and propane heat. 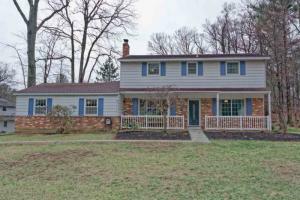 OPEN HOUSE SATURDAY, 4/20 FROM 11-1. 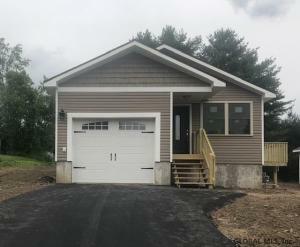 Pride of ownership shines throughout this fully renovated home sweet home. Modern kitchen includes granite countertops, large single bowl kitchen sink, SS appliances, new cabinets and pantry. Natural light streams through both floors of living space. See long list of improvements done in 2017 including new roof, seamless gutters, furnace, h/w heater, bathroom remodel and fenced yard with patio, fire pit and shed. Minutes from downtown shops and dining at Amigos Mexican Restaurant, Clarks Steak House and Geppettos Italian Restaurant. Fort Hardy Park, boat launch, Hudson Crossing Park and historical sites are a short drive. There's nothing left to do except to start packing! Wonderful furnished and fully equipped Eastside Victorian. Wood floors throughout. Gourmet kitchen with stainless steel appliances, granite counter tops and wood burning fireplace. Backyard with deck, grill, slate patio and outside shower. One bedroom with king bed and walk in closet, one bedroom with queen, third has a twin bed. Off street parking. Short walk to the Saratoga Race track and downtown.